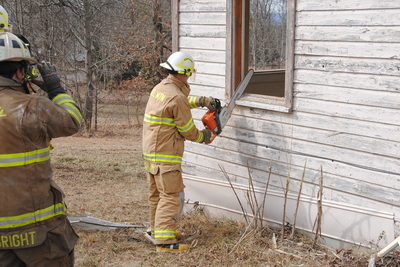 Throughout the year we conduct training to keep our skills honed. 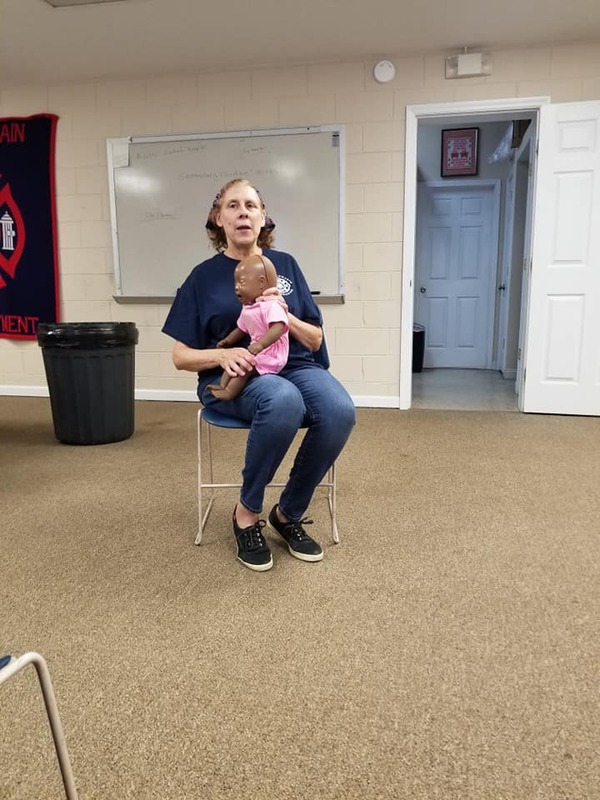 Some of the training is classroom, and other times we train on the application and refinement of skills necessary to better serve our community. 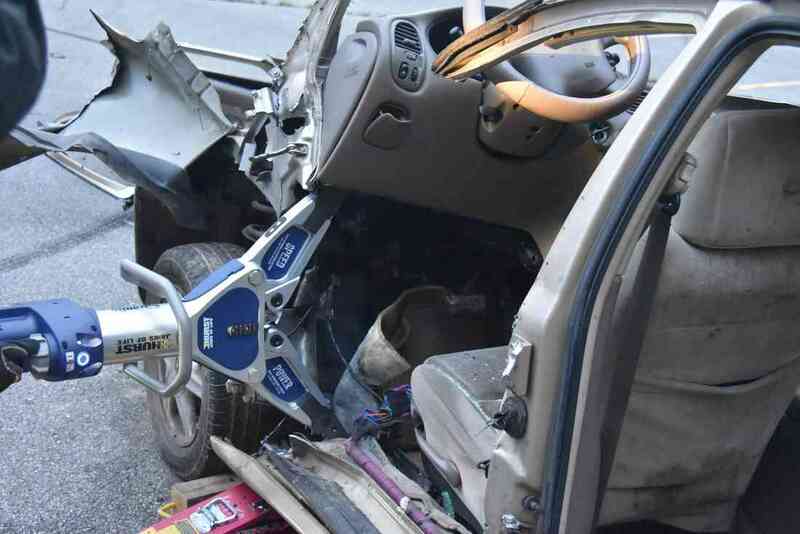 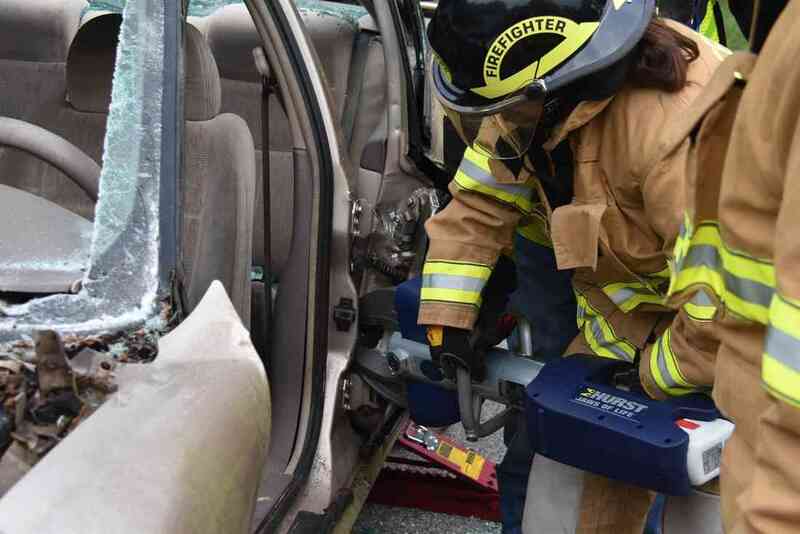 The picture we use above was taken following a training session using the hydraulic cutters, also known as the "Jaws of Life." 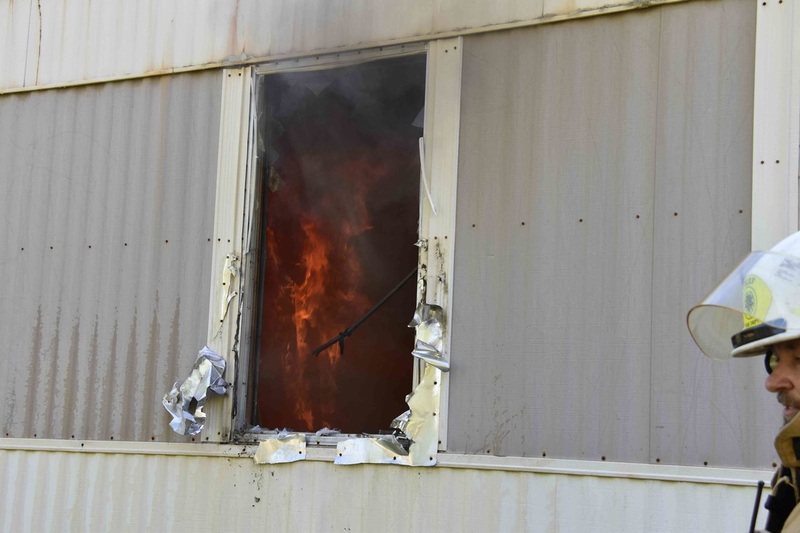 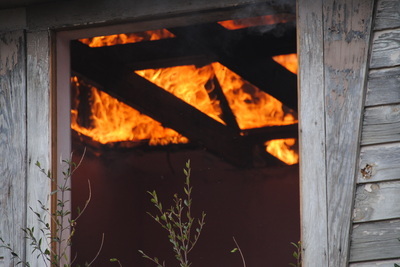 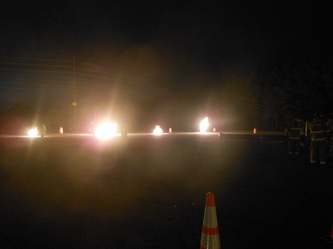 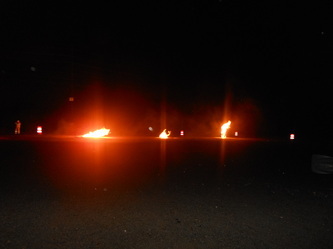 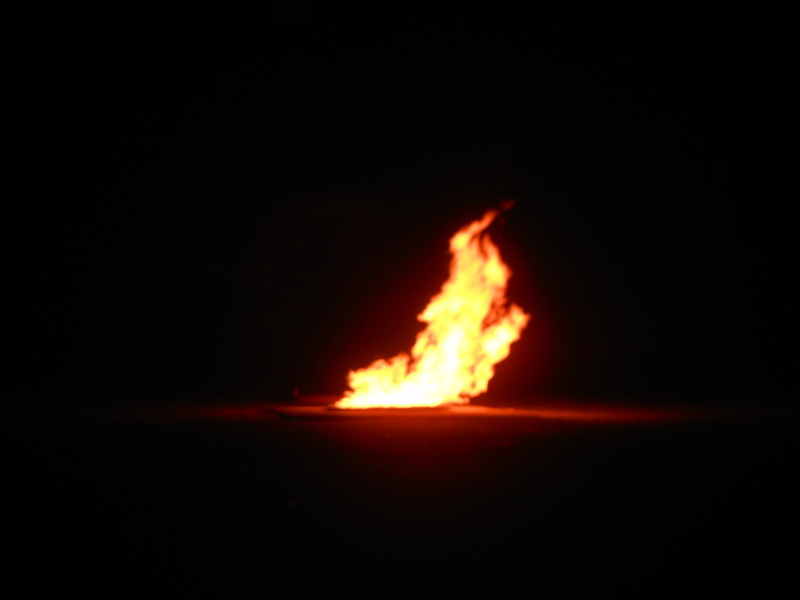 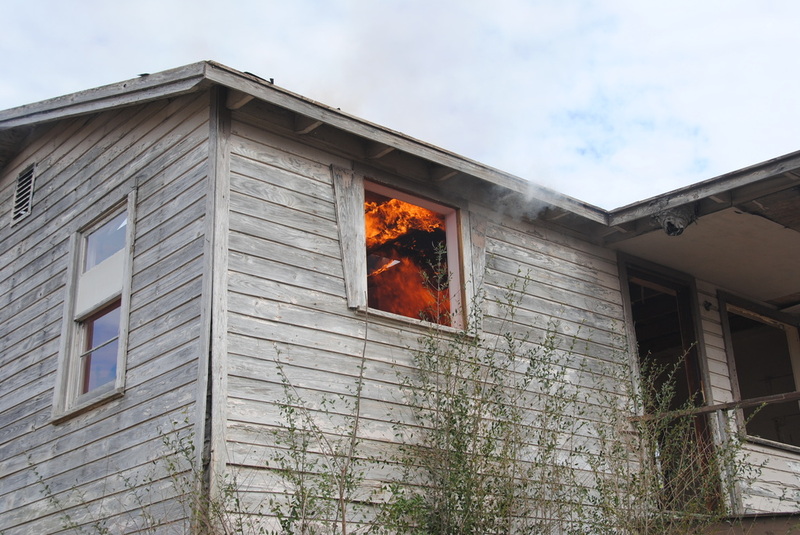 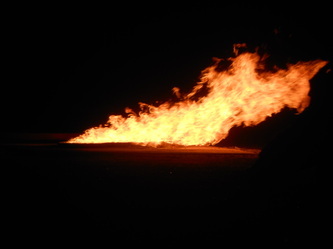 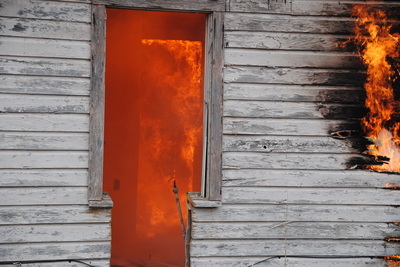 8 Jul 18: KMFVD had training on propagation of fire and the effects of ventilation in a burning structure.Chief Jimmy Maynard constructed a model of a 2 story house with panels that could be opened and closed to simulate various conditions within a structure as well as the effects of restricting airflow to a burning structure. 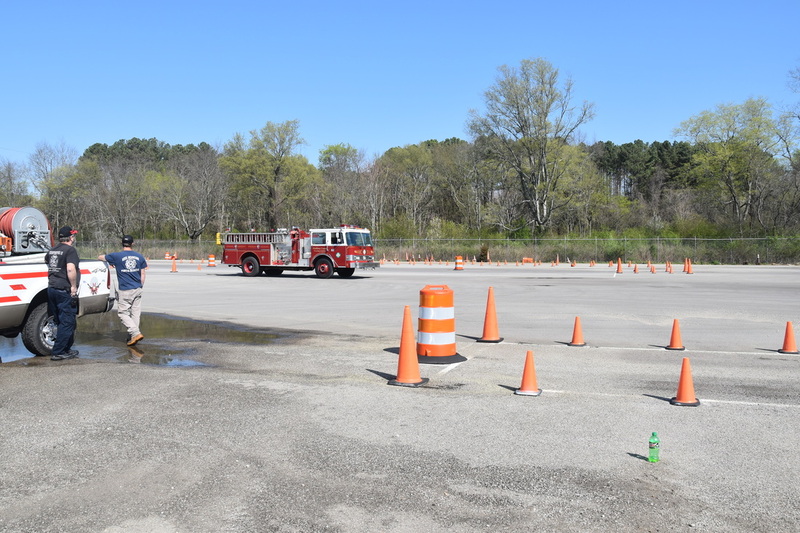 We can talk about the theories or watch videos, but a practical demonstration really brings it all together. 7 Jul 18: KMVFD is always training to better support our community. 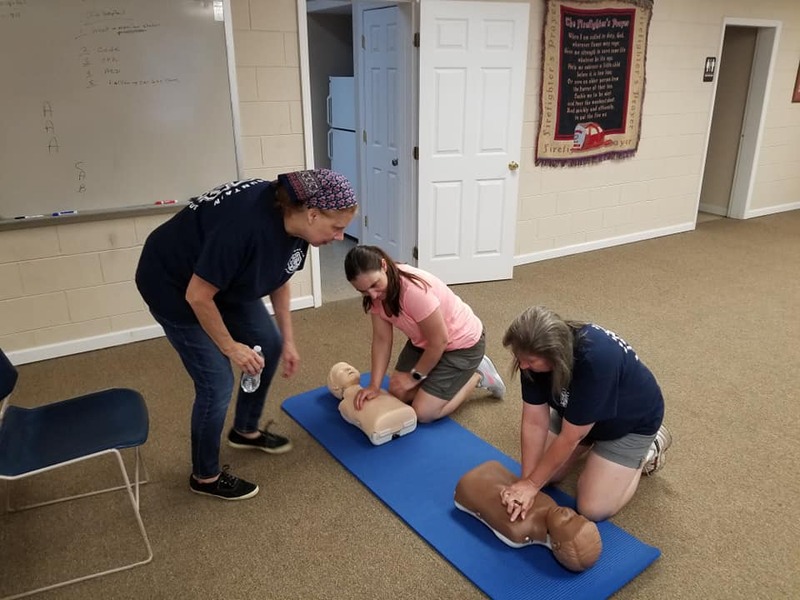 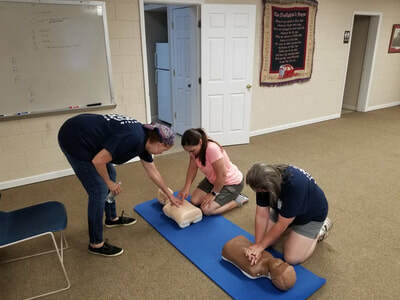 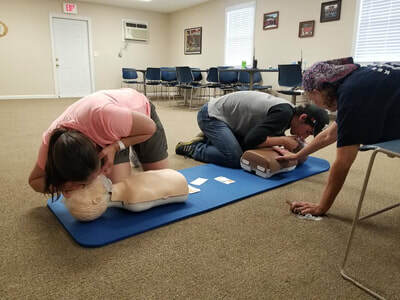 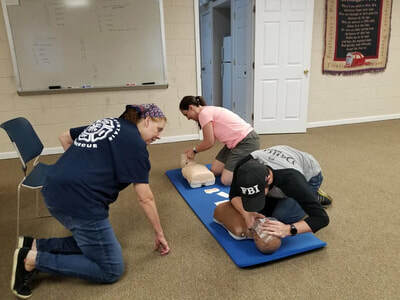 Several of our members participated in CPR and AED training to be ready to serve the community in their time of need. 13 Jun 18: KMVFD recently purchased a new set of hydraulic tools to better serve our community. 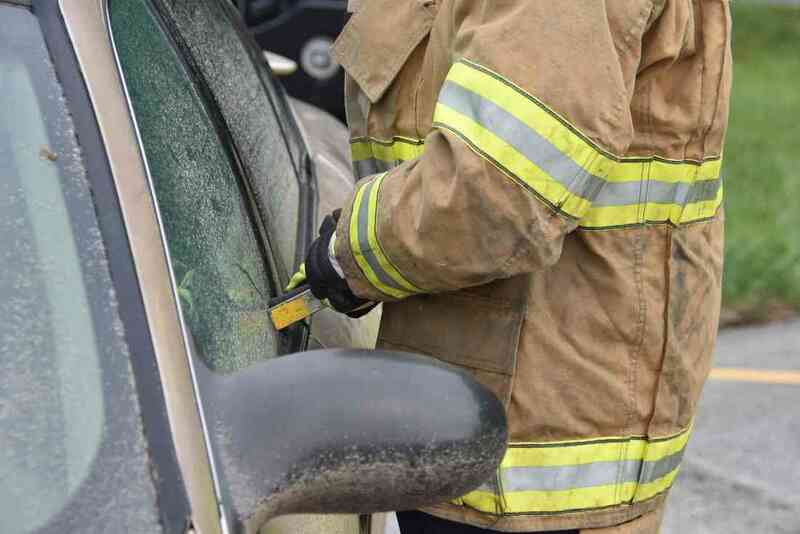 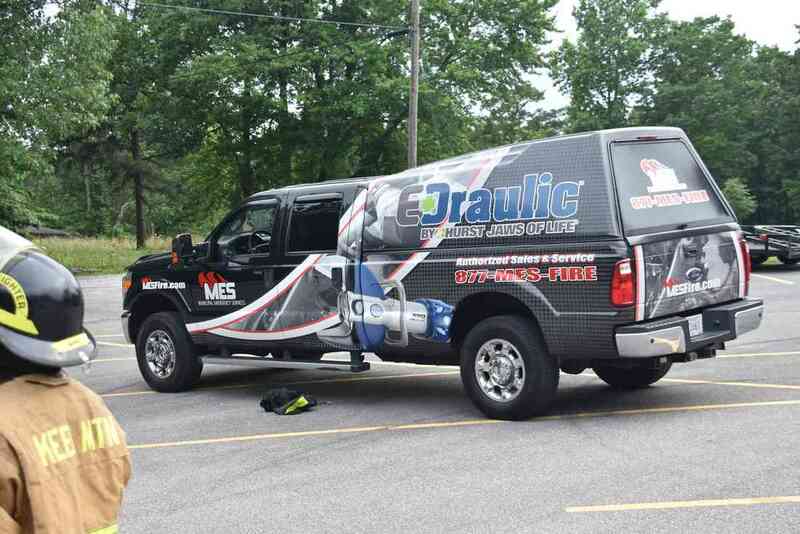 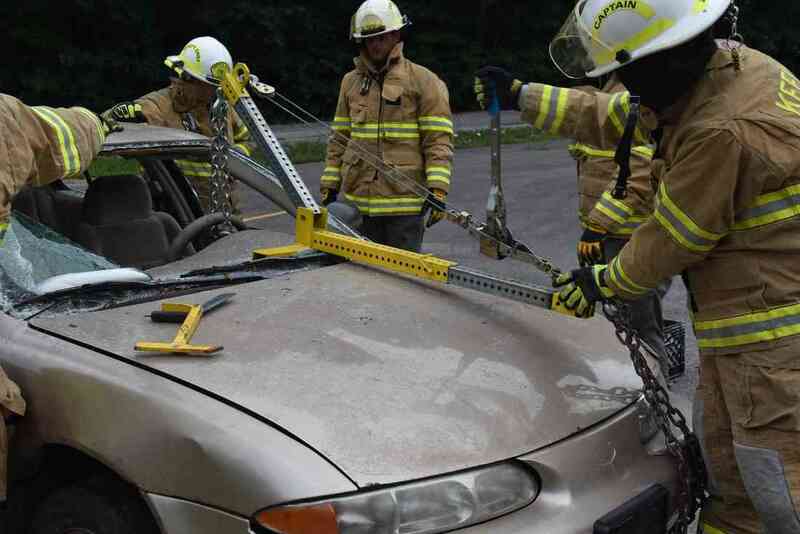 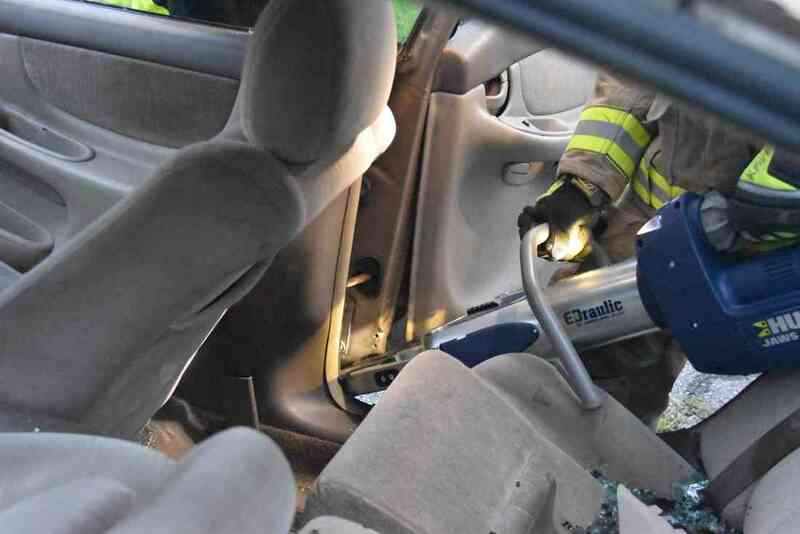 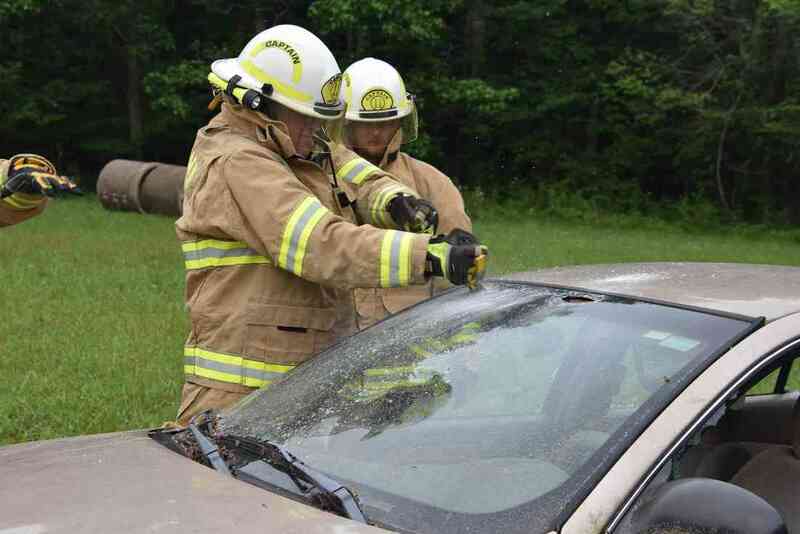 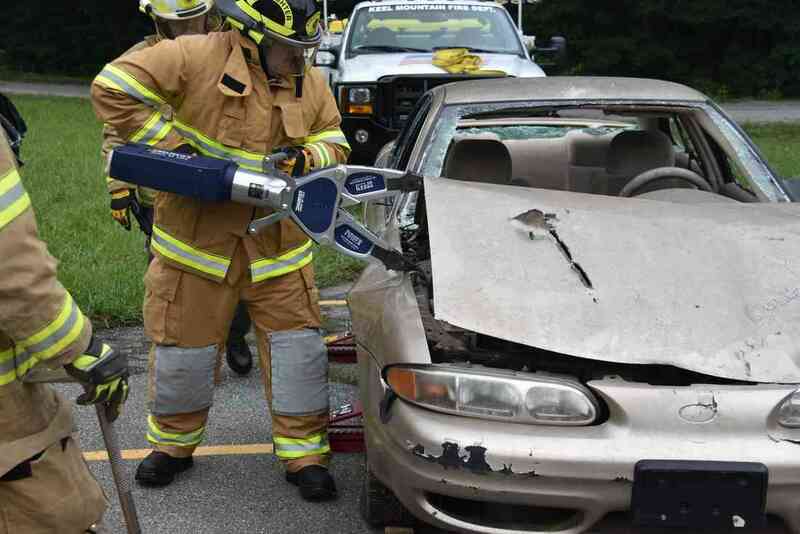 With new tools comes training, and what better way to train that actually cutting up a vehicle? 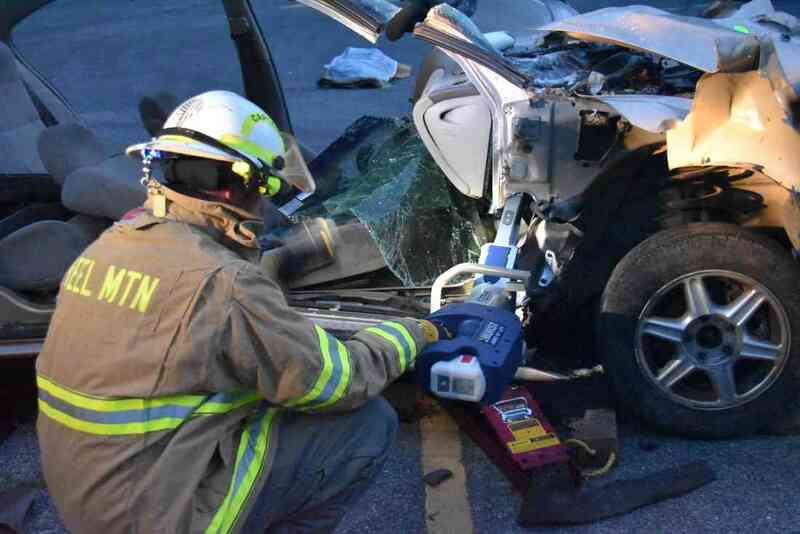 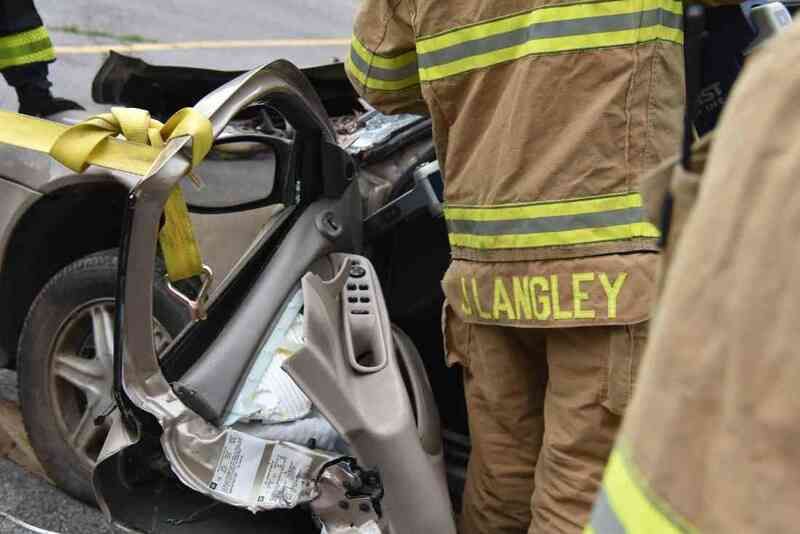 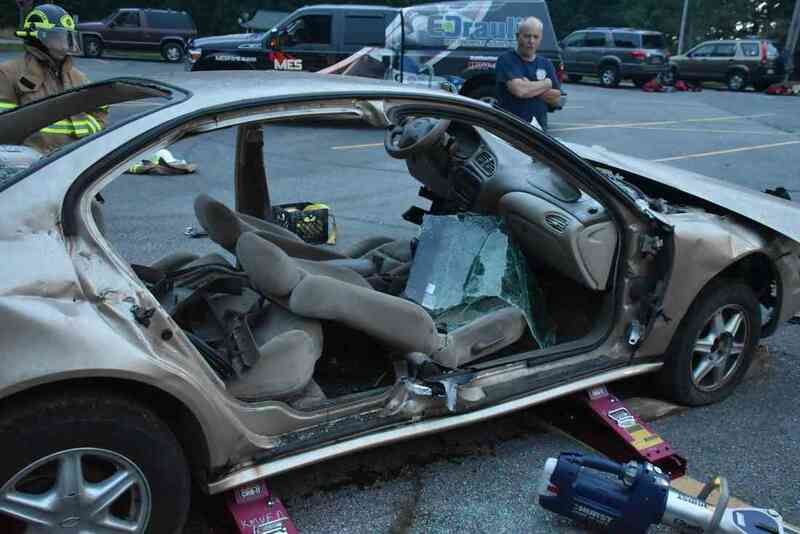 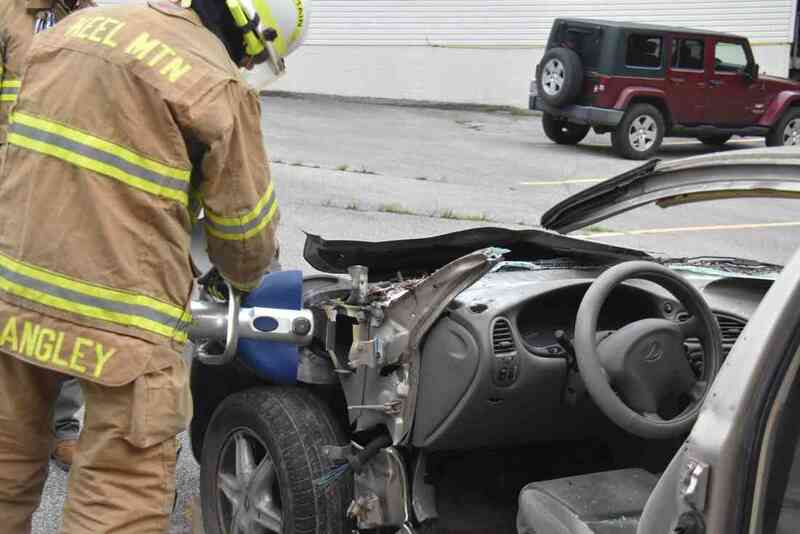 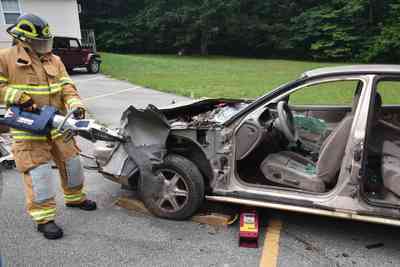 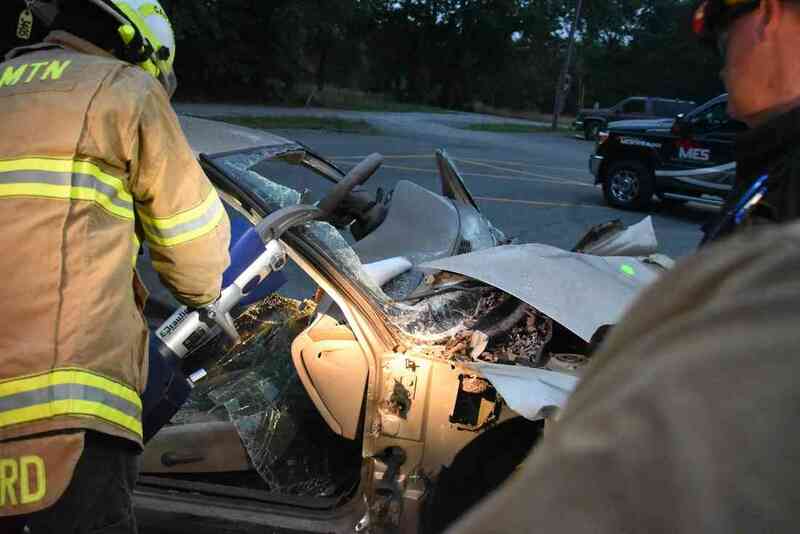 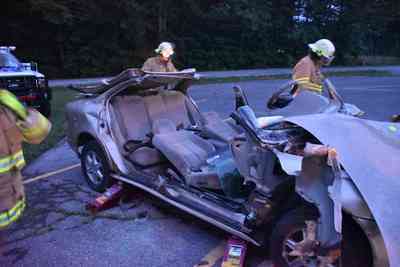 This is valuable training allowing our firefighters to practice the extrication methods we hope never to have to use. 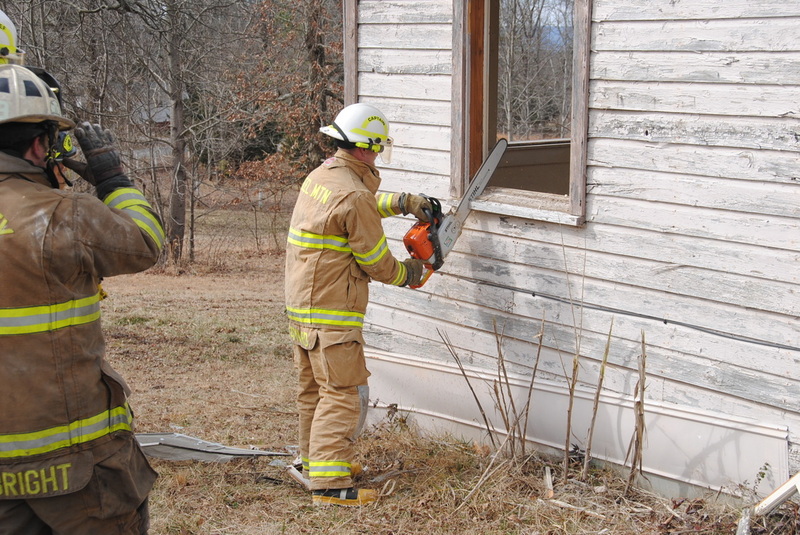 If it is necessary to use these tools, rest assured our personnel are trained in their safe and efficient use. 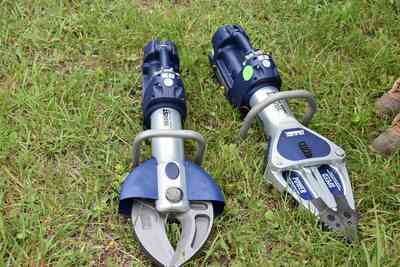 The new tools are battery operated allowing for more flexibility and ease of use. 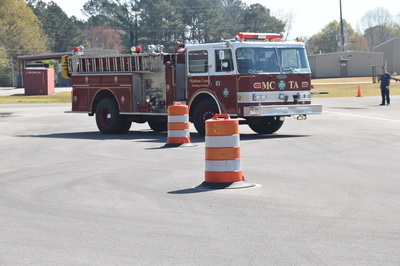 Thank you to Municipal Emergency Services (MESfire.com) for both the sale and training support. 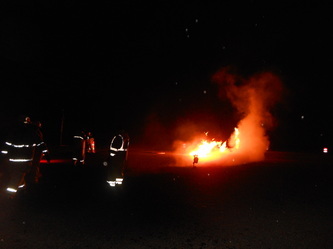 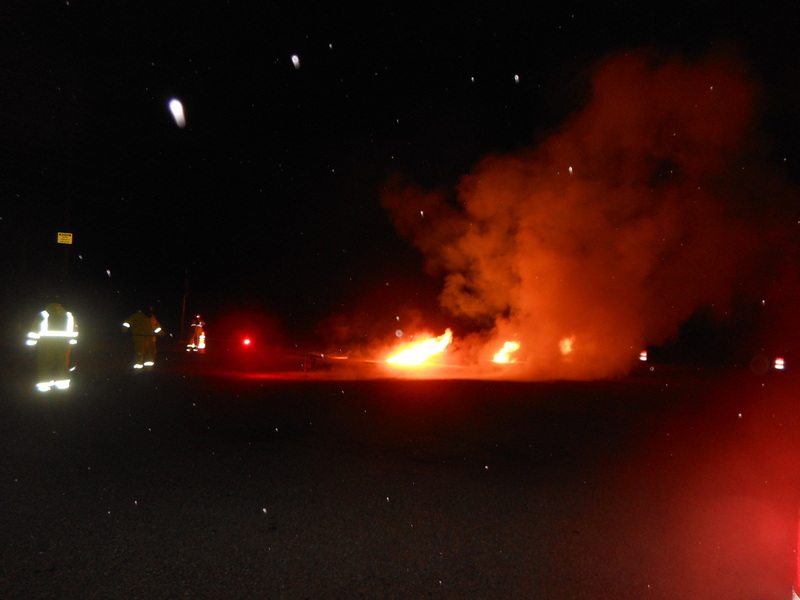 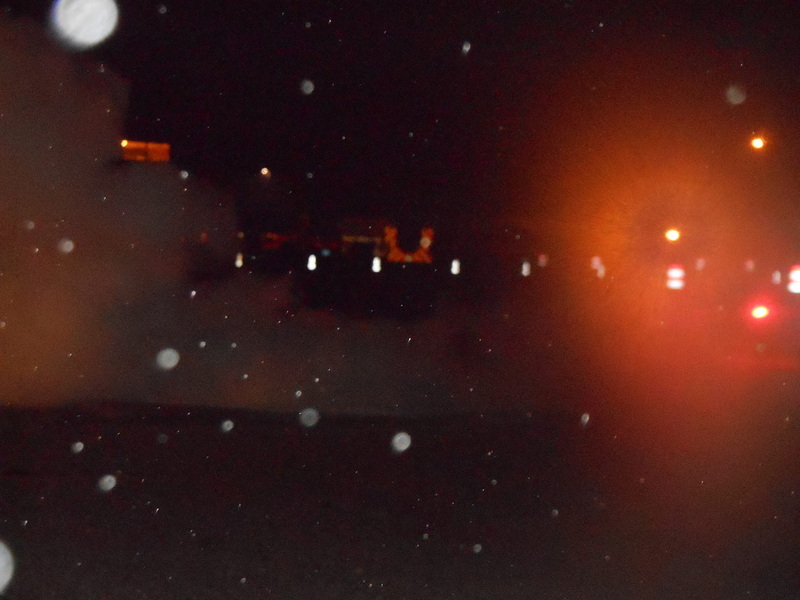 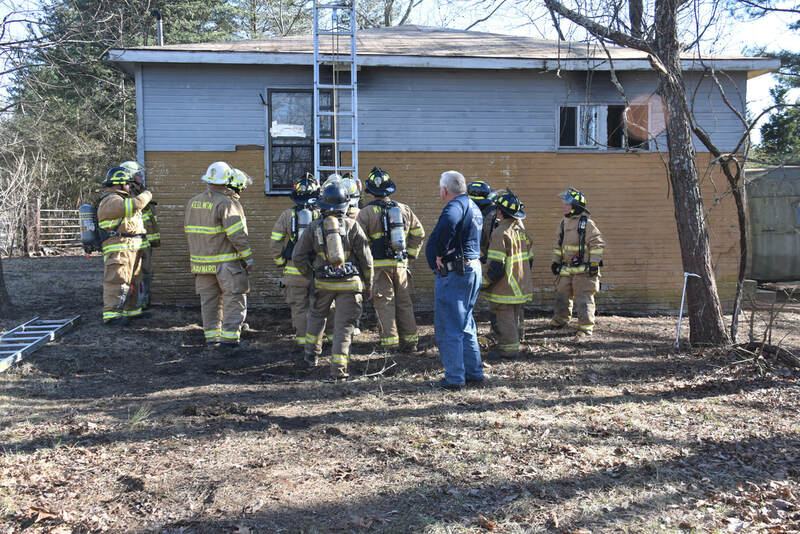 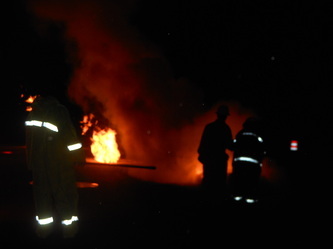 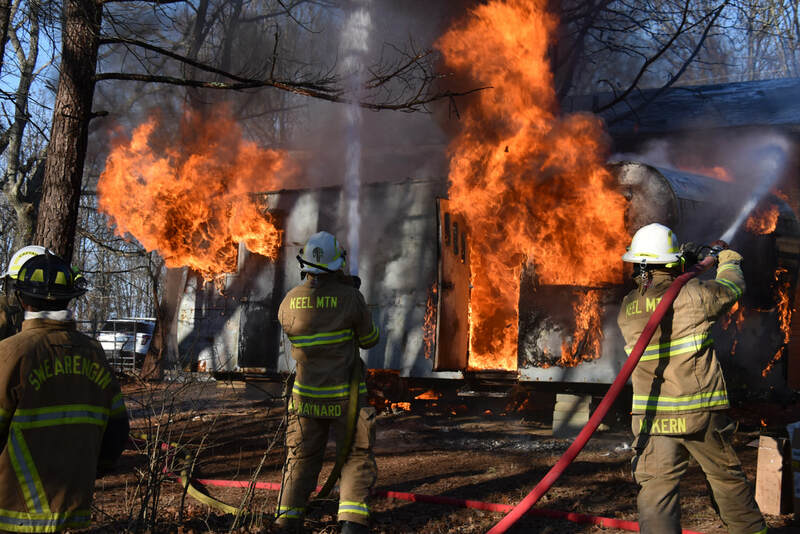 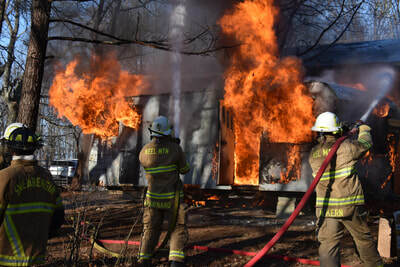 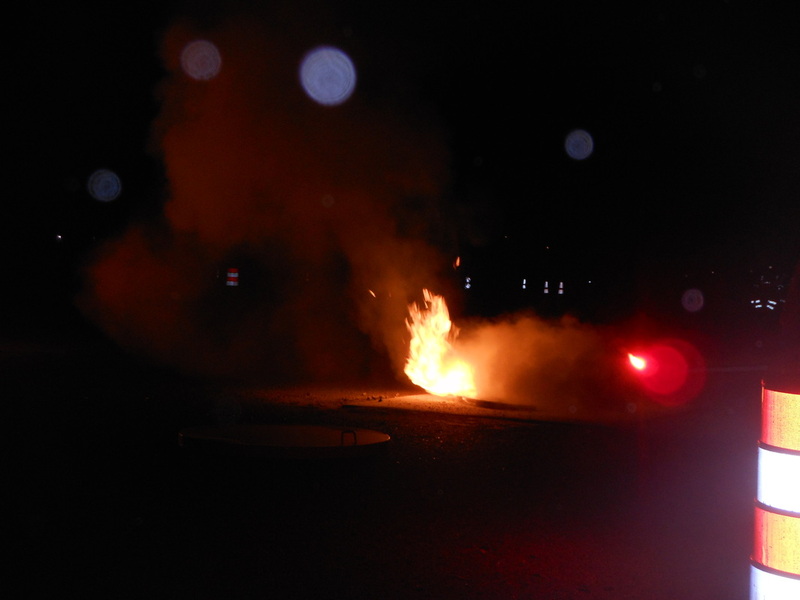 21 Jan 18: KMVFD again had the opportunity to train in firefighting tactics by burning a trailer and a house. 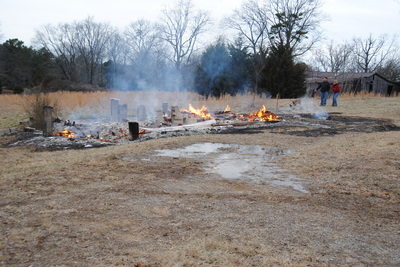 Part of the house had burned 30 years ago, but over half of the structure was sound and was utilized for training. 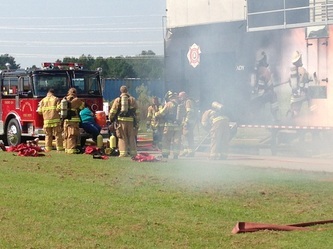 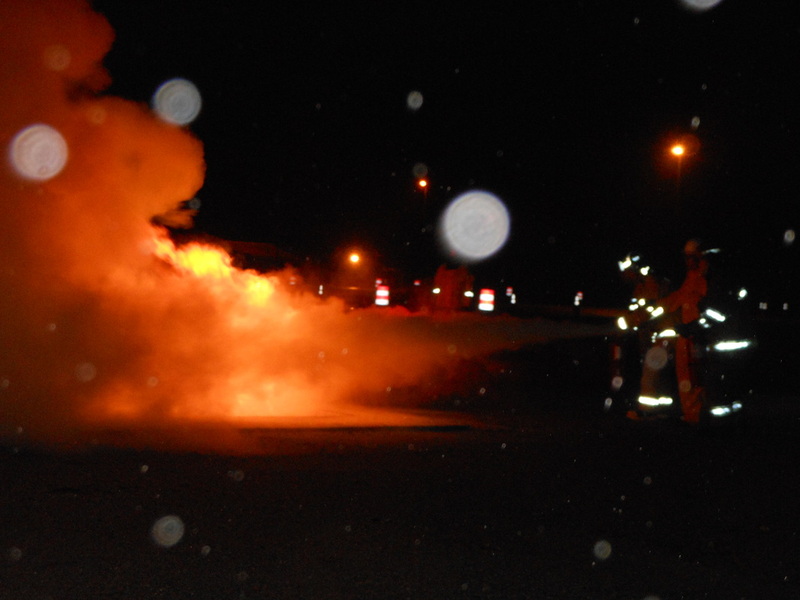 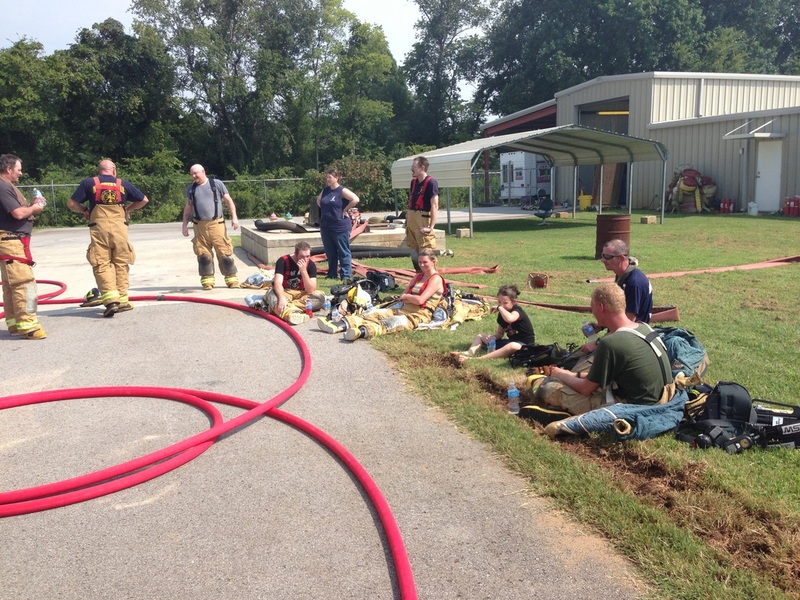 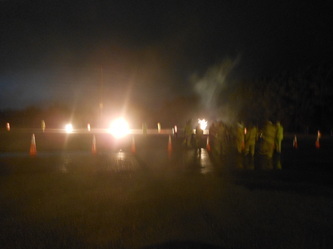 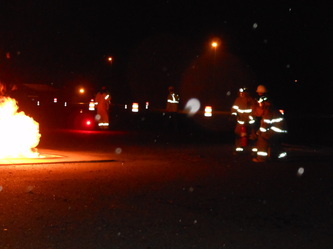 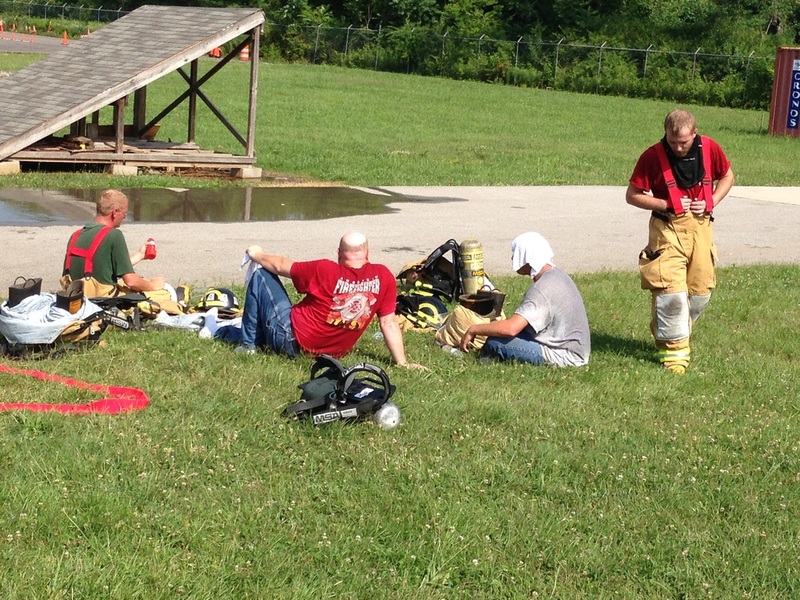 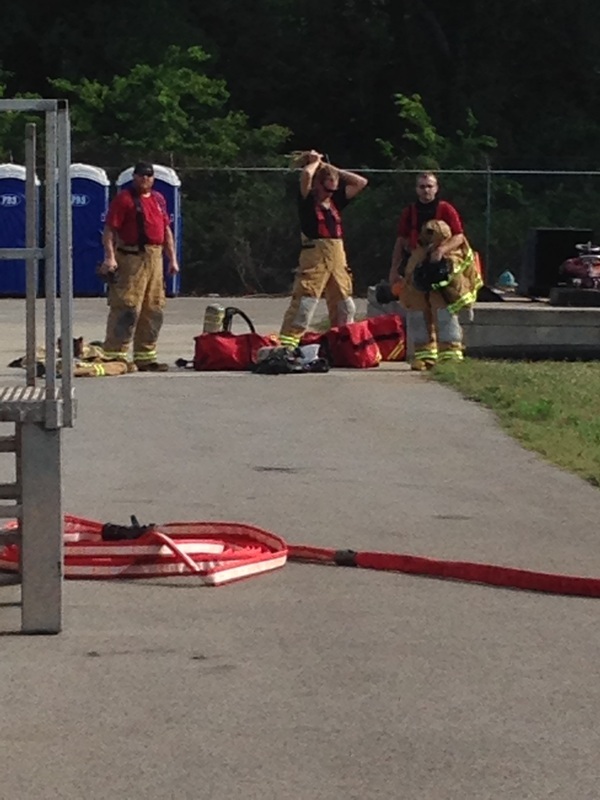 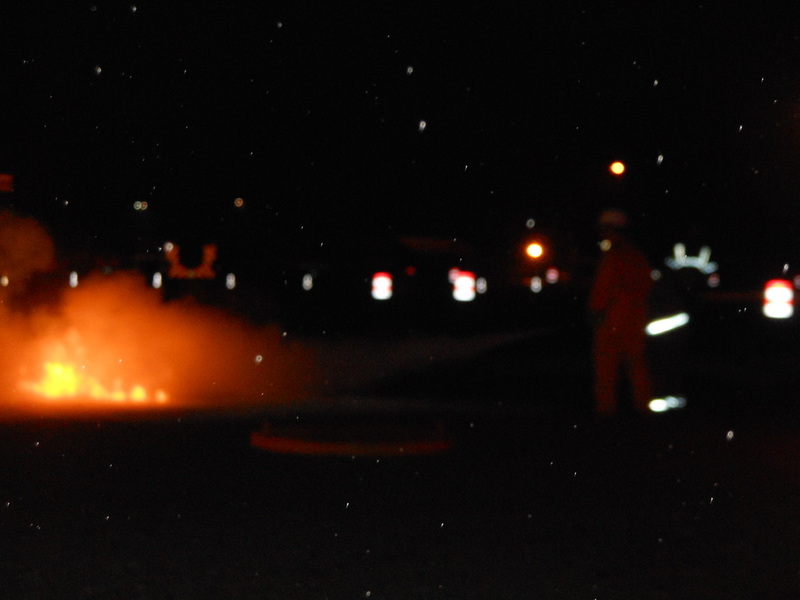 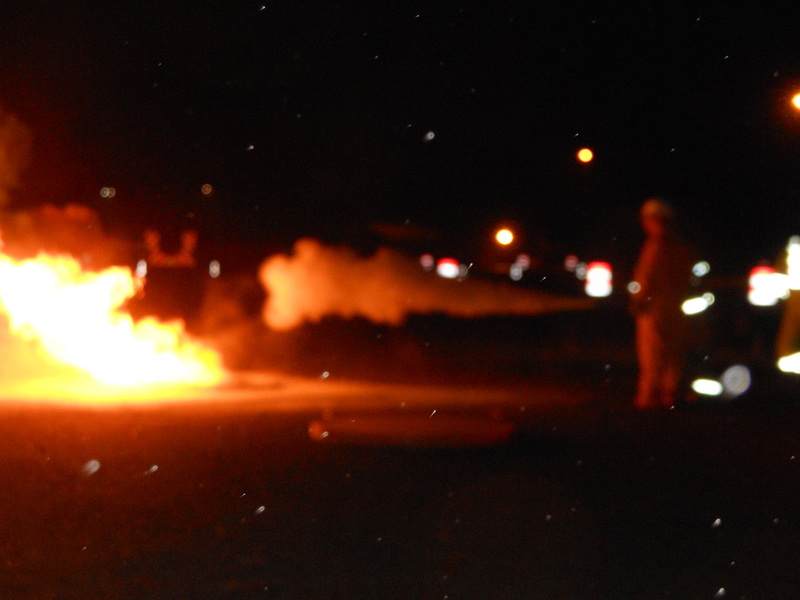 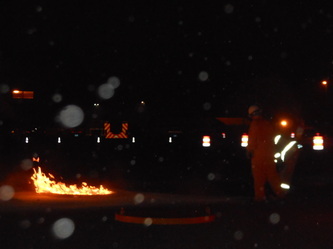 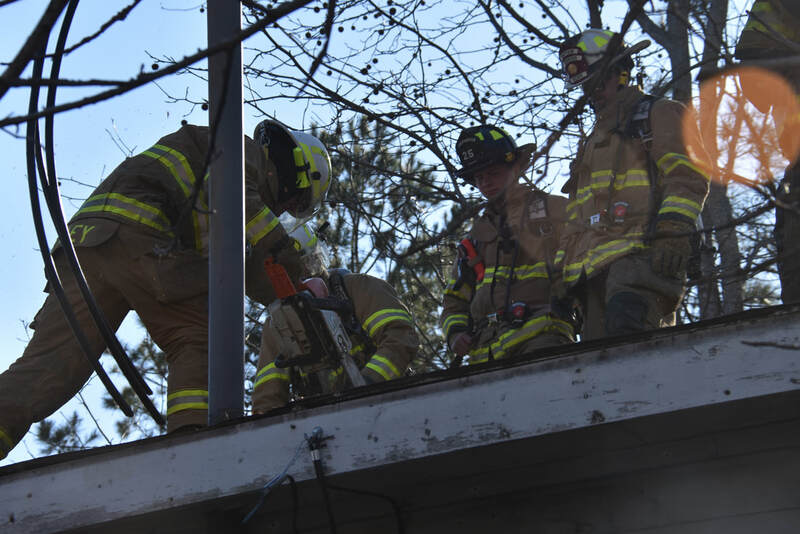 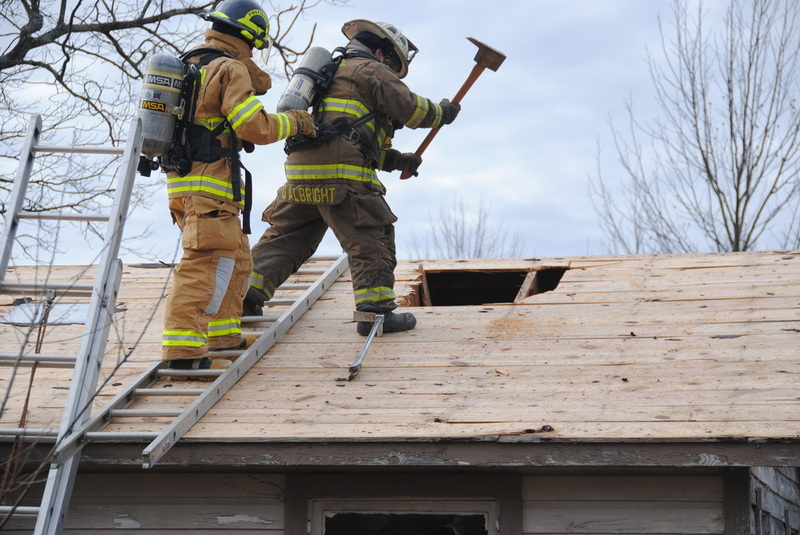 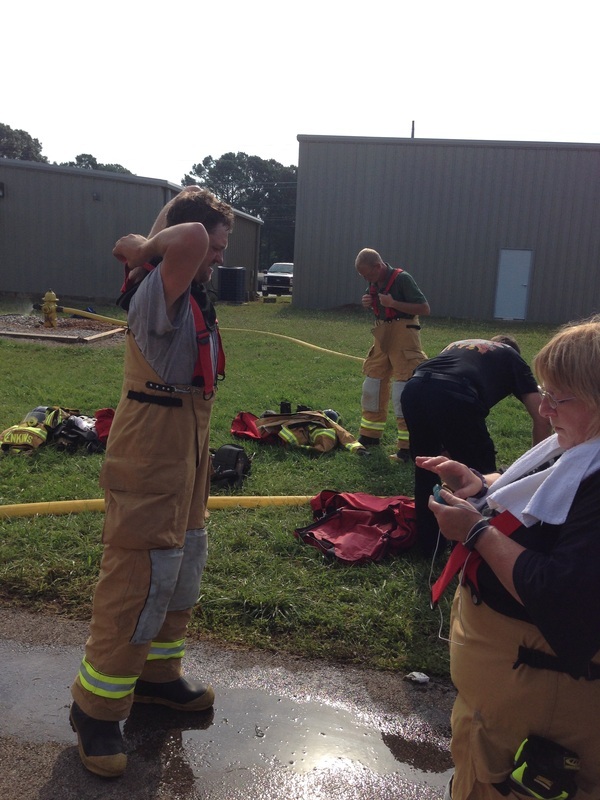 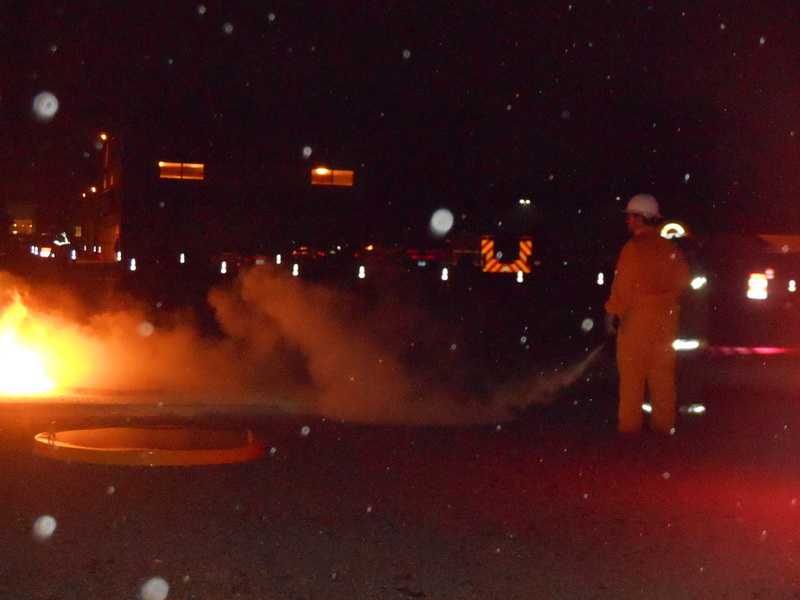 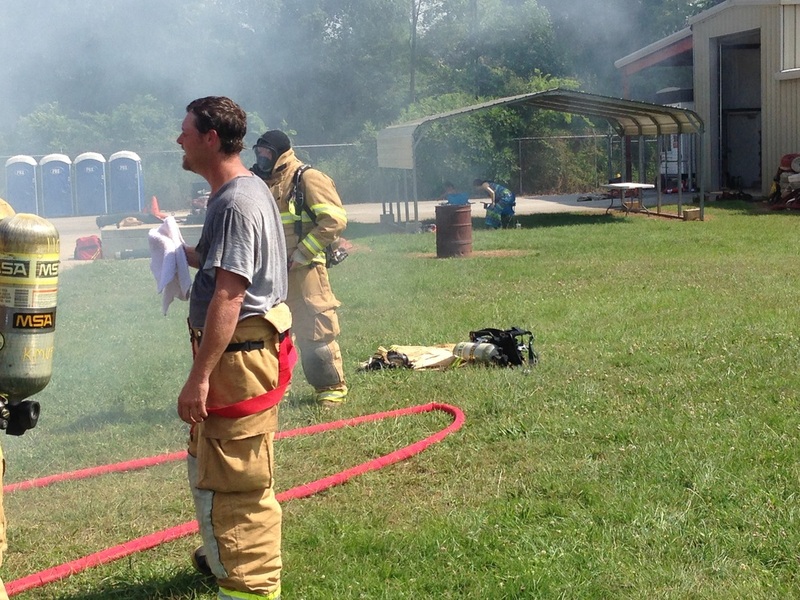 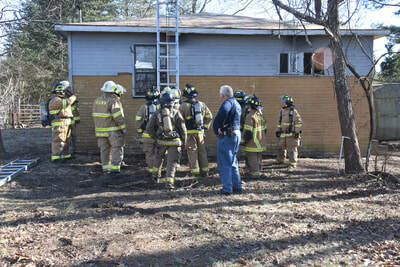 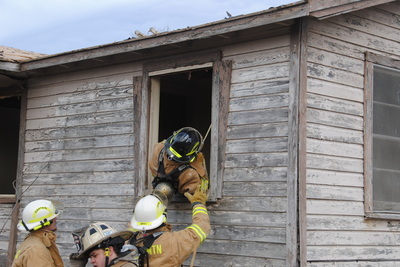 New firefighters and veterans alike had to opportunity to train on several firefighting and life safety skills. 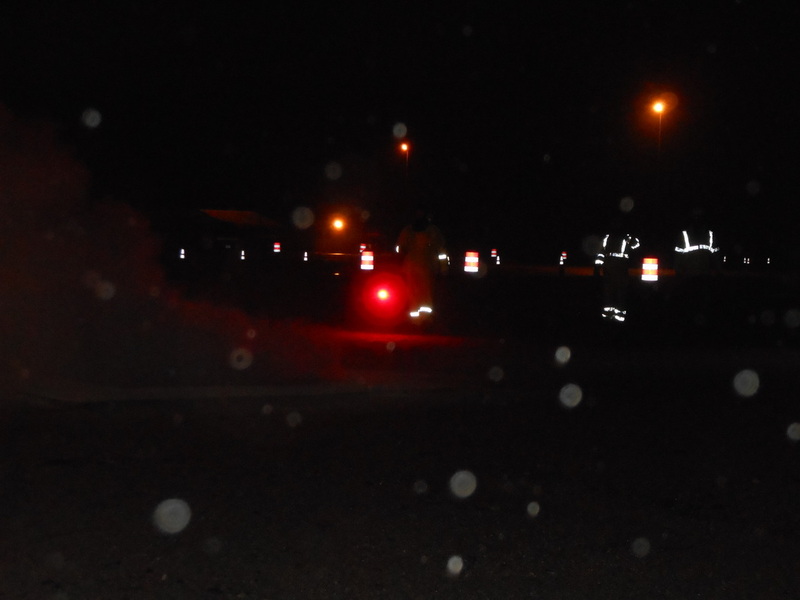 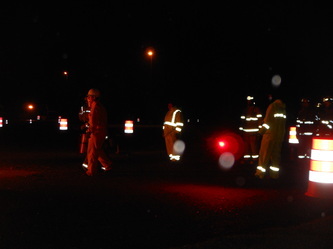 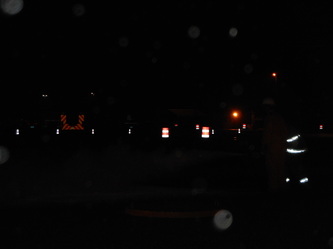 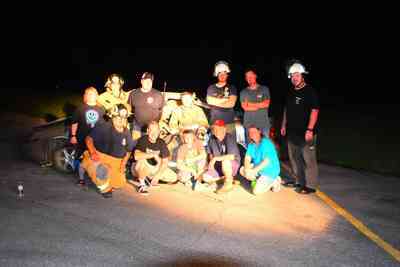 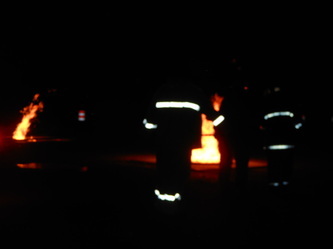 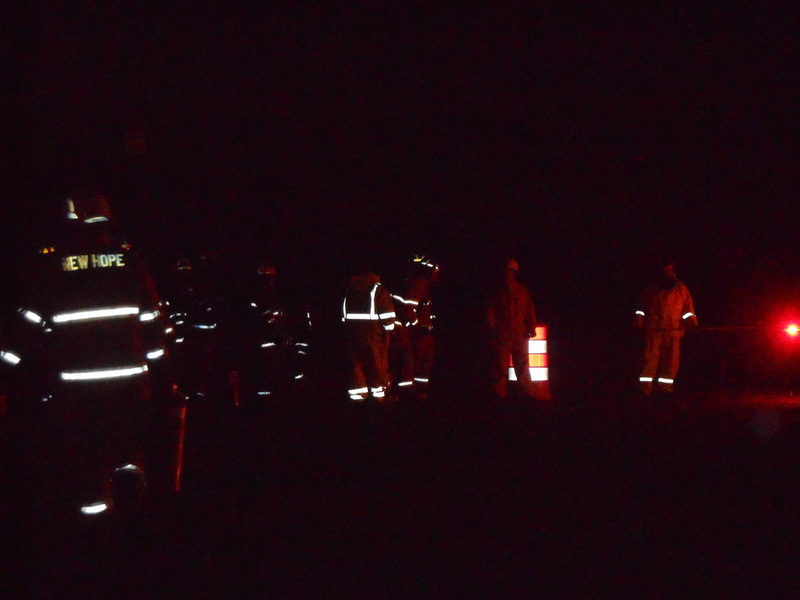 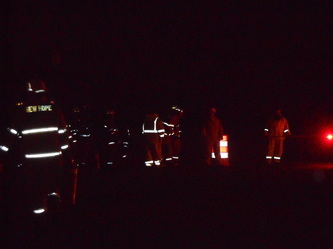 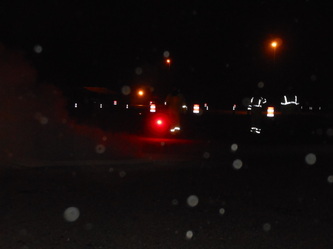 We were joined by some of our neighbors, firefighters from Killingsworth Cove VFD, Paint Rock VFD and Swearengin VFD. A special shout out to the Captains who ran the training session, Jay Langley, Mike Kern and Anthony Maynard from KMVFD, and Jerry Jenkins from KCVFD. 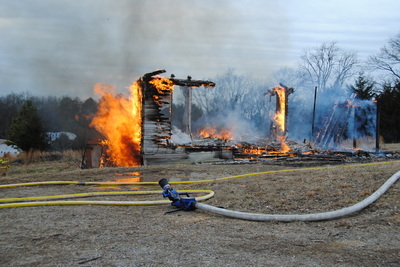 See the Photo Gallery pages for all the pictures. 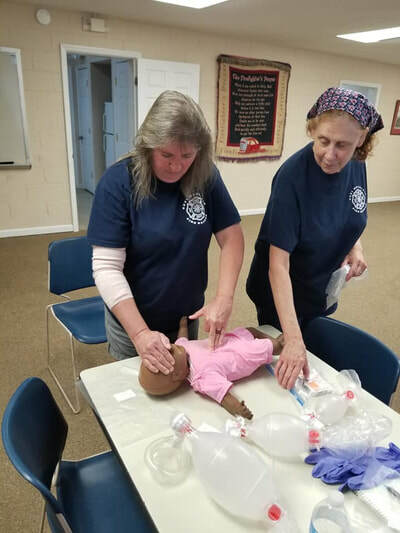 Many thanks to our residents for enabling this critical training opportunity, the knowledge gained will benefit the entire community. 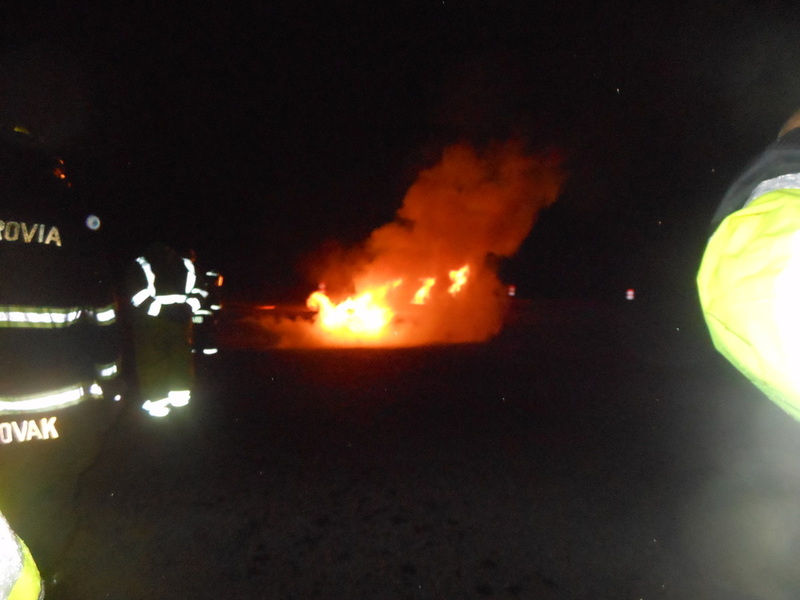 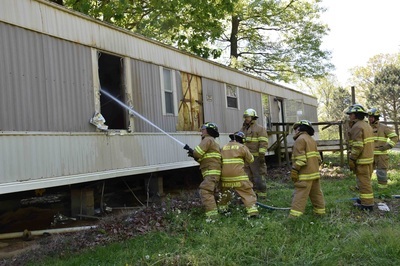 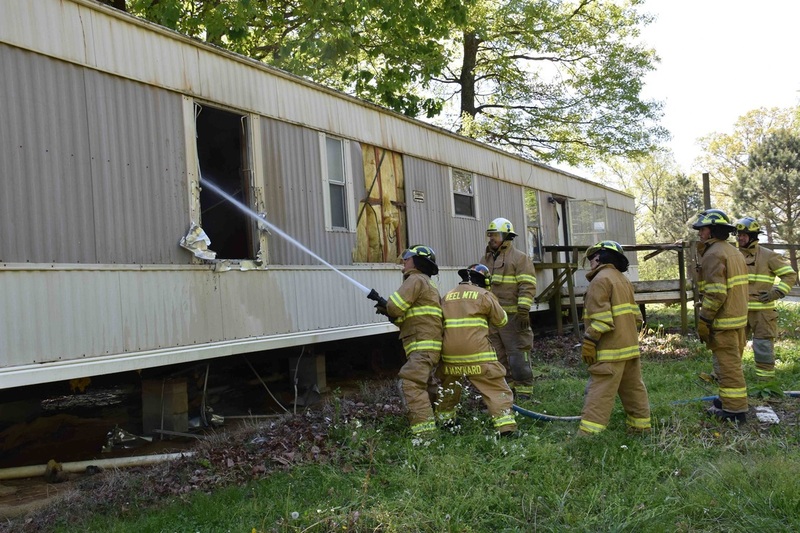 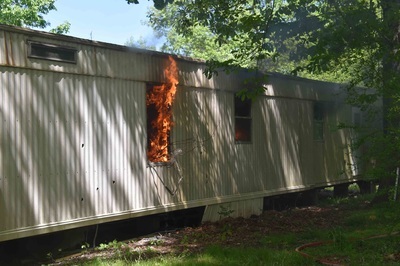 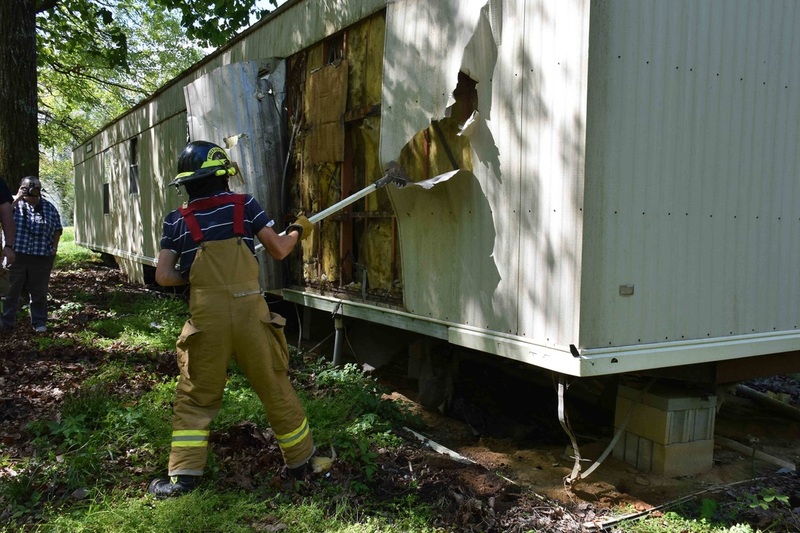 23 Apr 16: KMVFD was provided a trailer to use for training and ultimately burn for the owner. 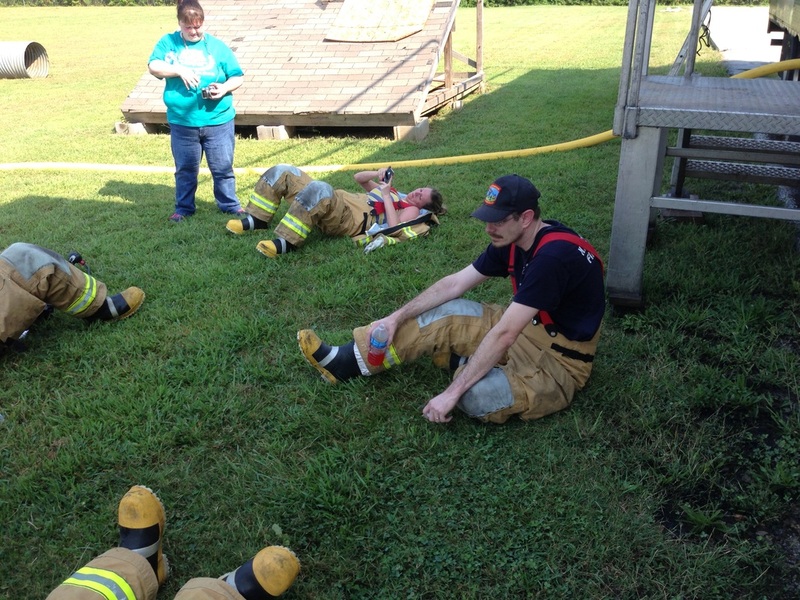 This was a rare opportunity to try some new firefighting tactics, hone some old skills, and get a few of our new folks some "nozzle time." 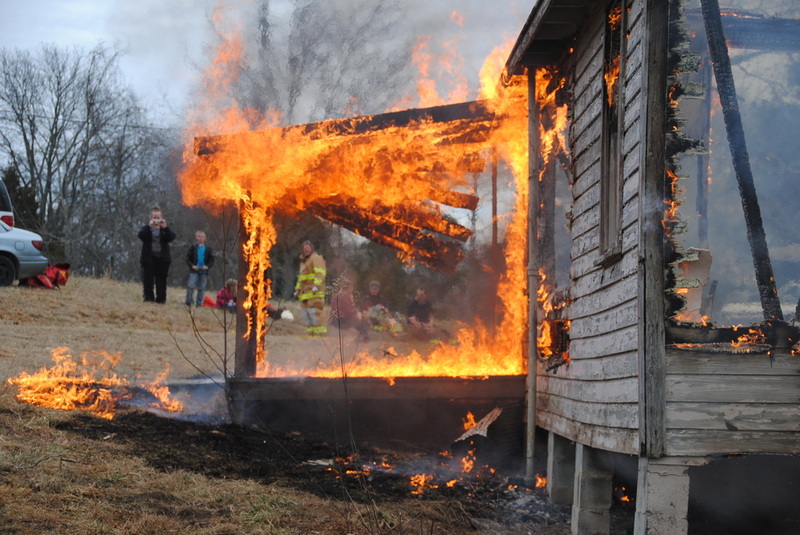 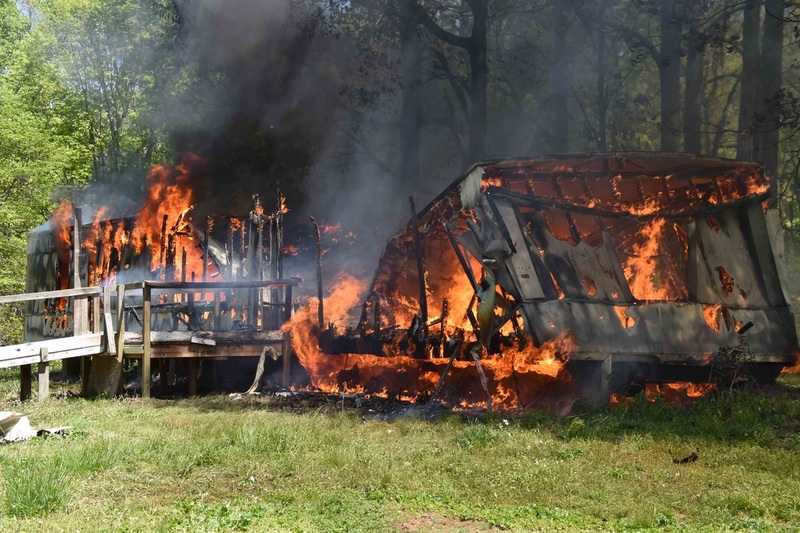 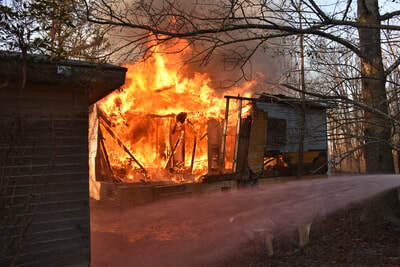 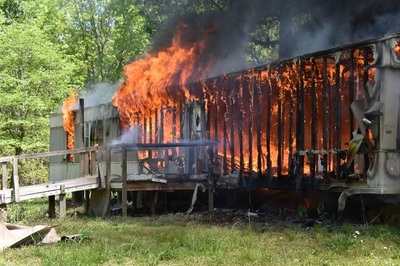 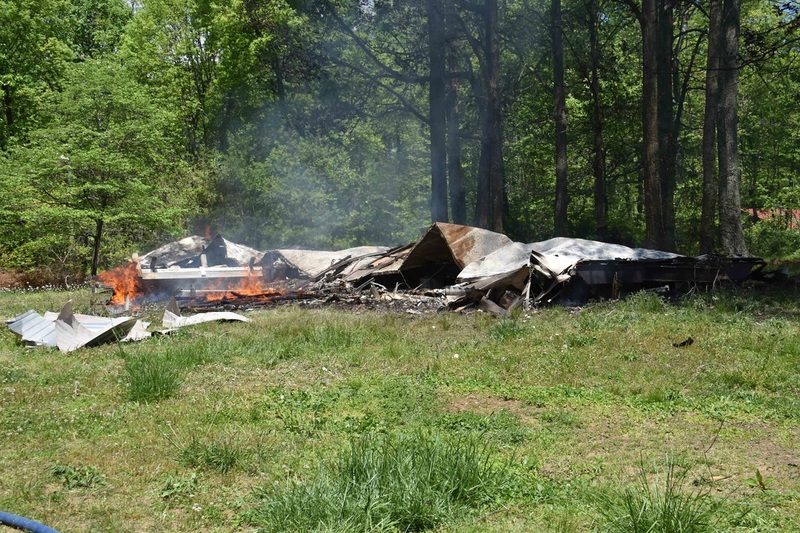 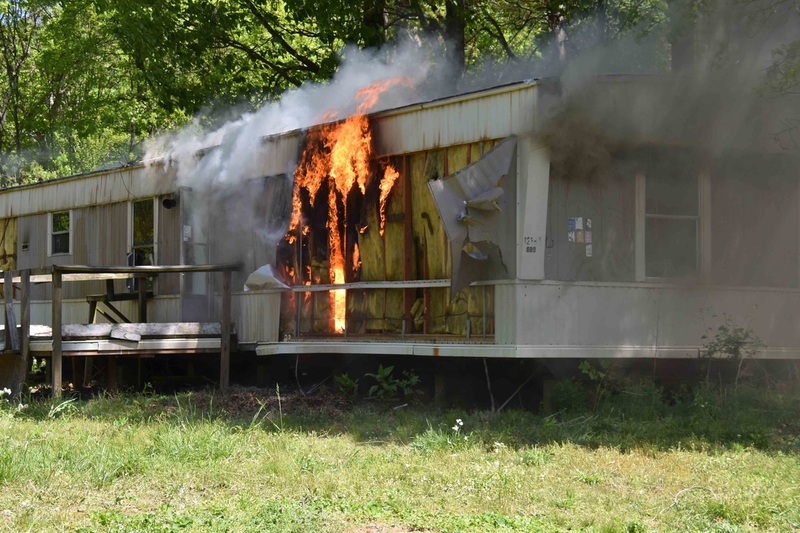 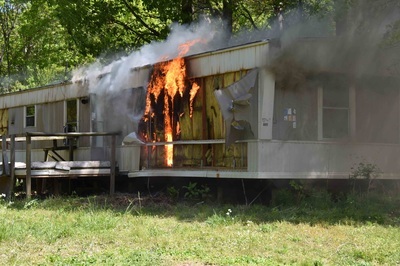 It was also a demonstration on just how fast a mobile home will burn completely once a fire grabs hold of the structure. 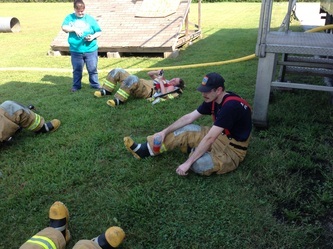 It was a EXCELLENT training session that was completes successfully with no injuries. 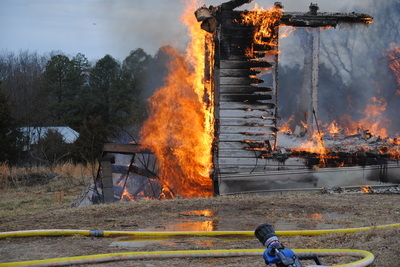 See the Photo Galleries pages for all the pictures and videos. MANY THANKS to our residents for enabling this critical training opportunity, the knowledge learned will benefit all of us. 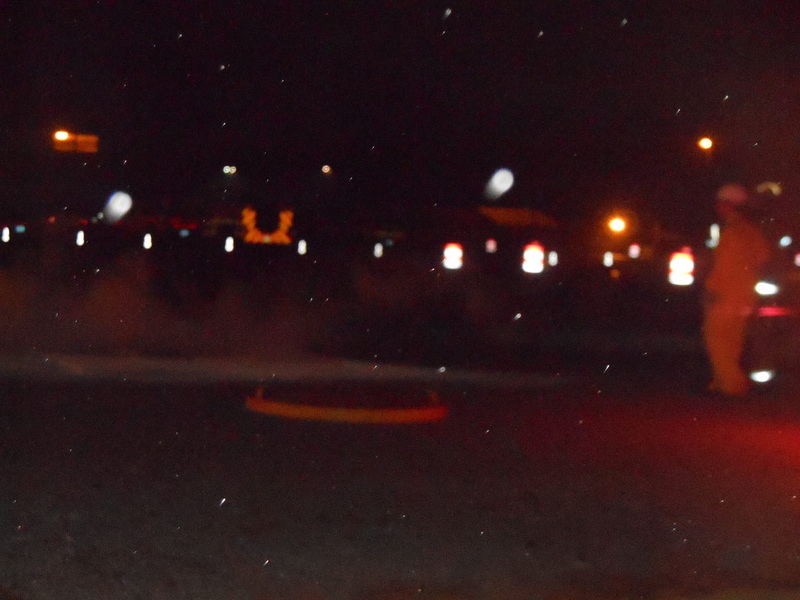 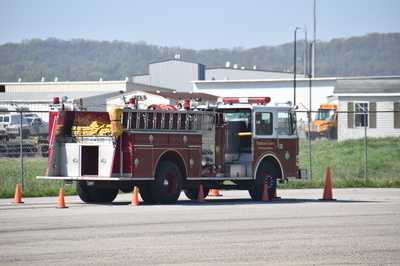 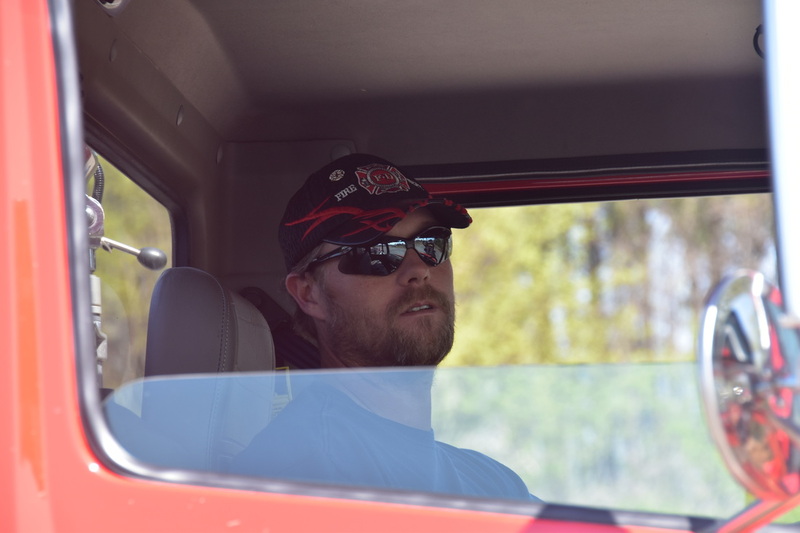 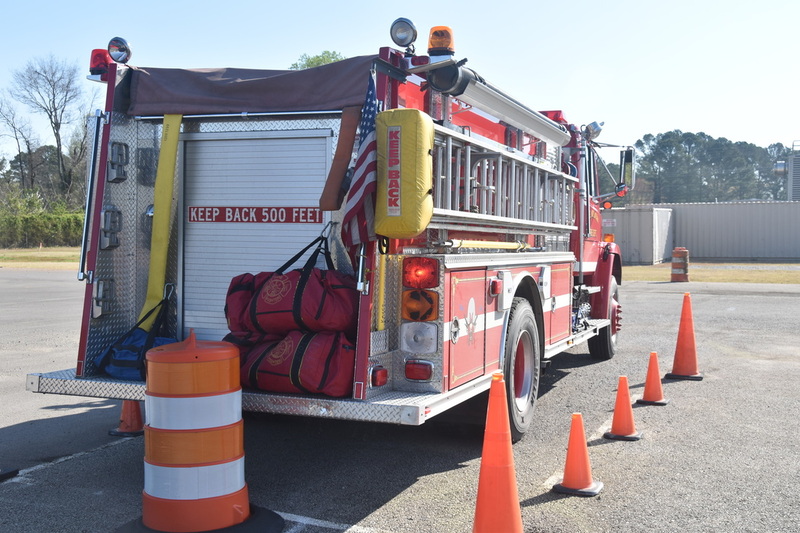 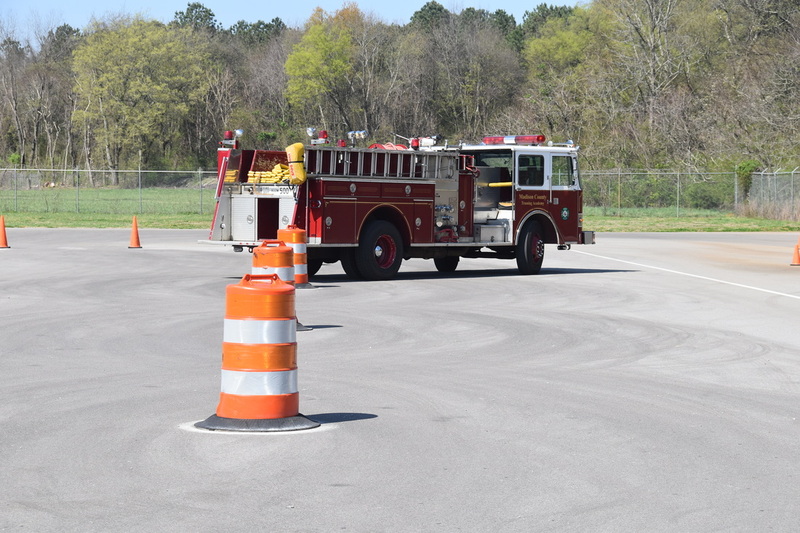 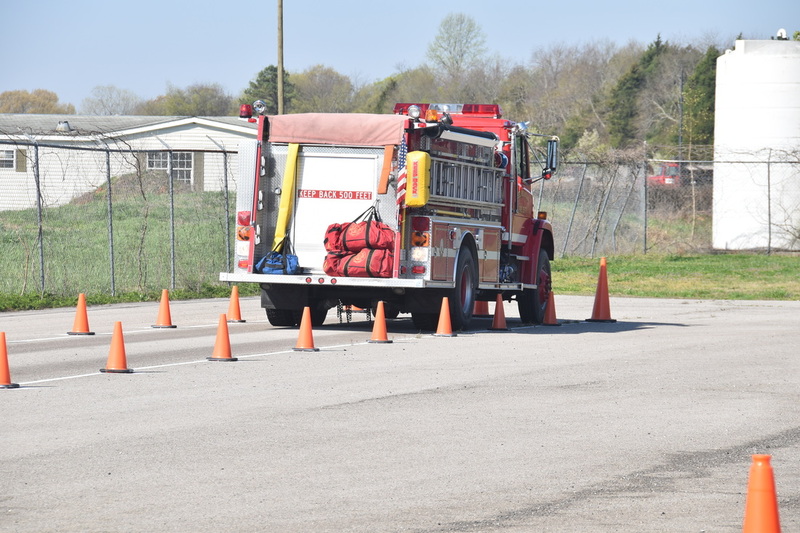 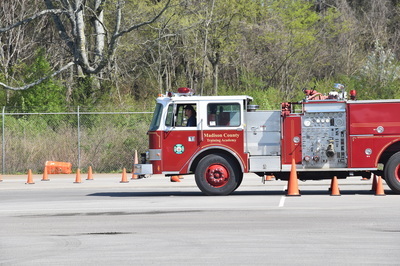 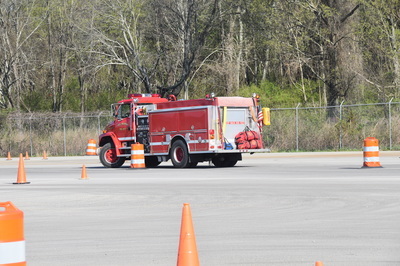 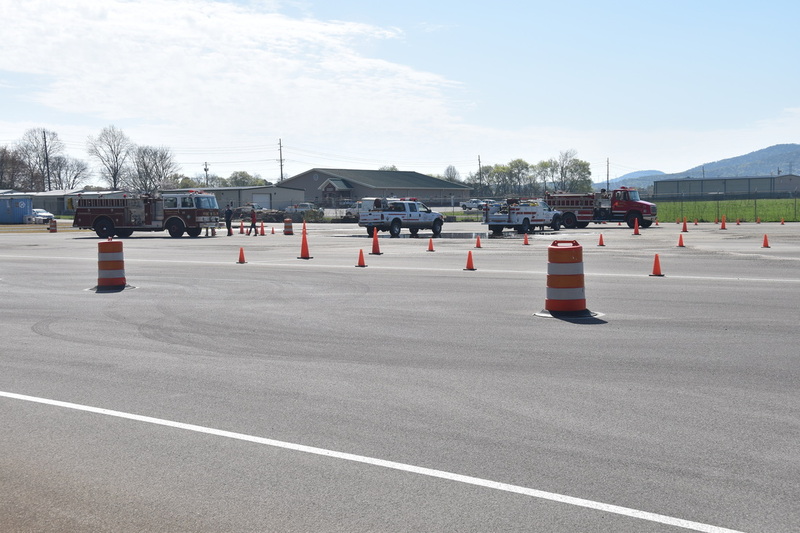 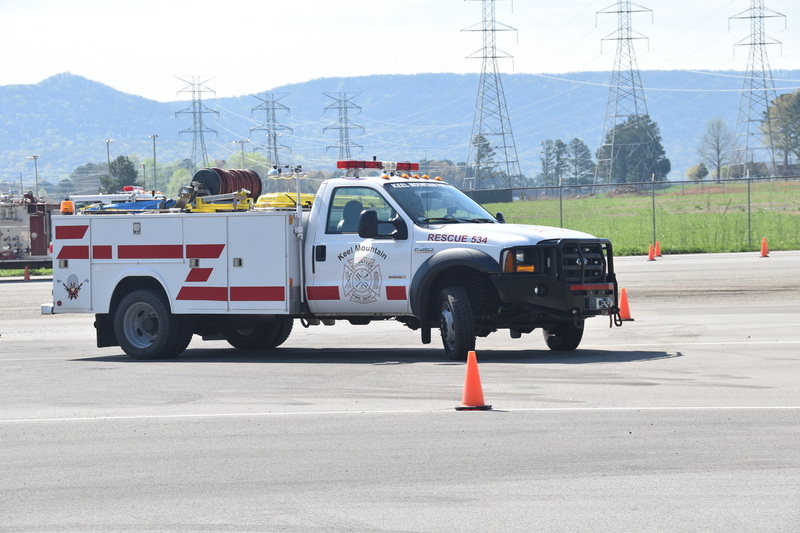 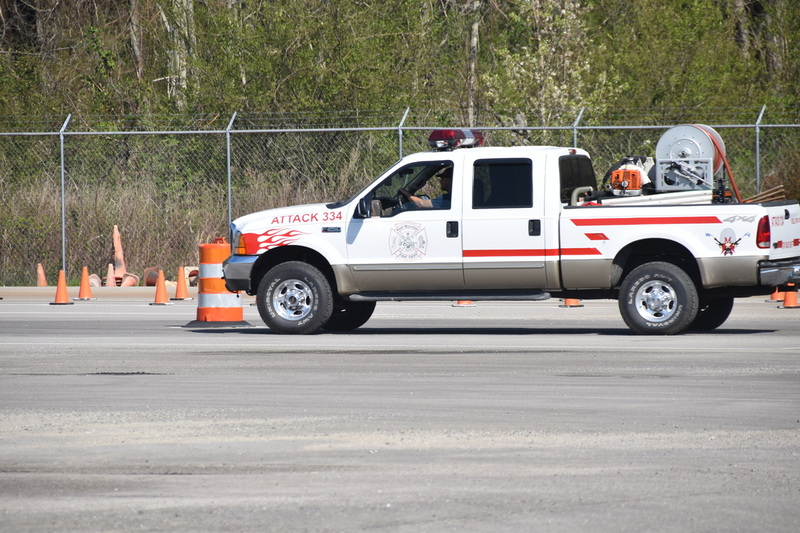 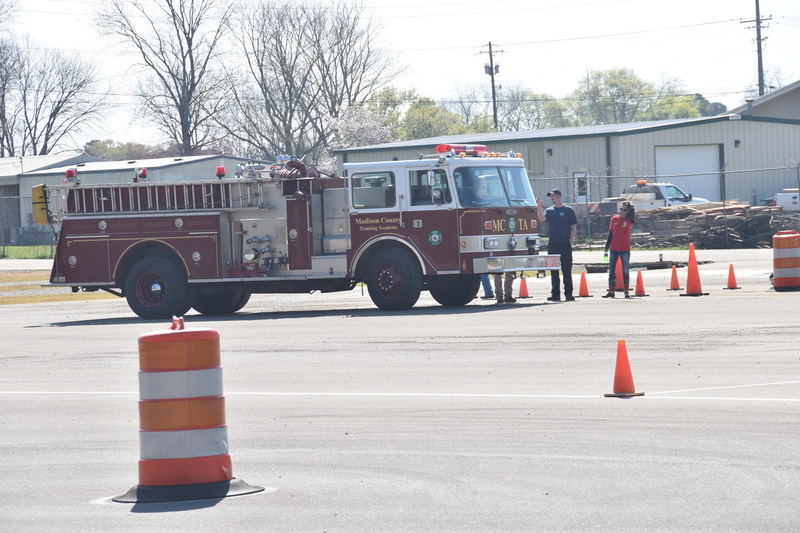 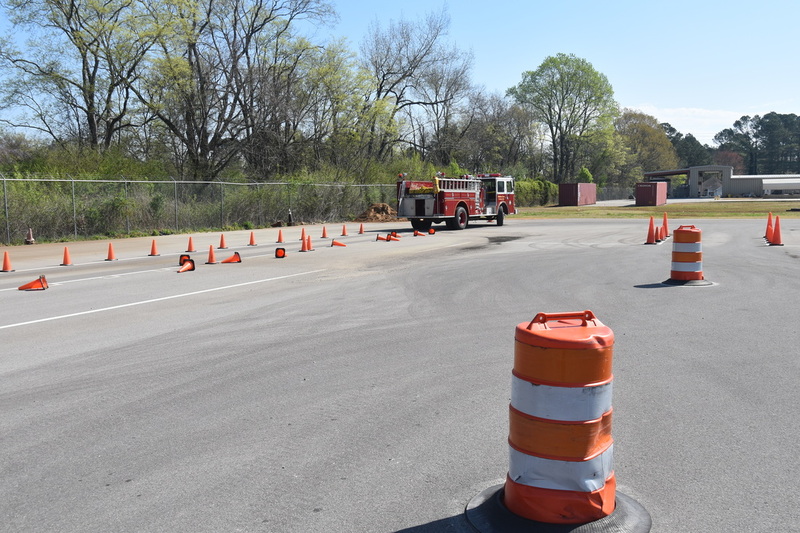 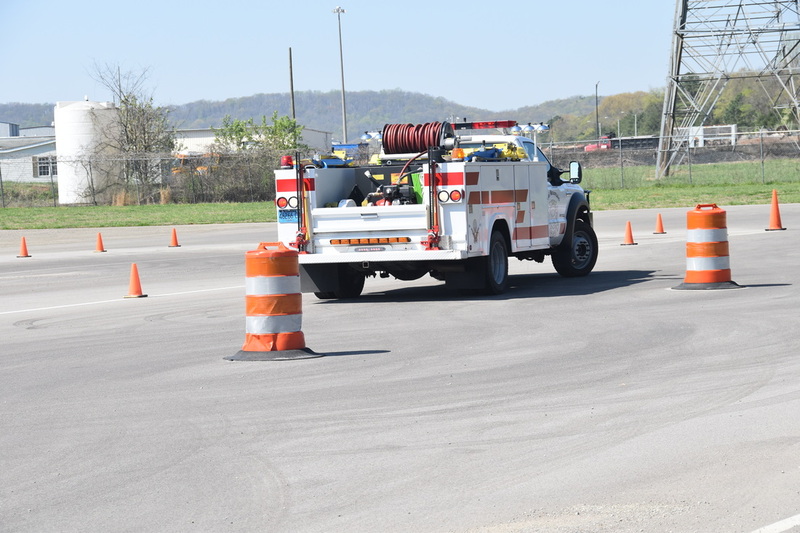 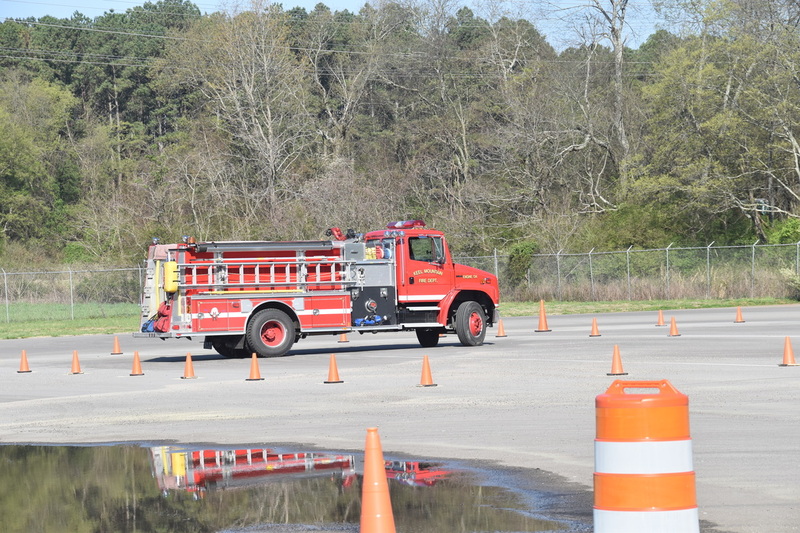 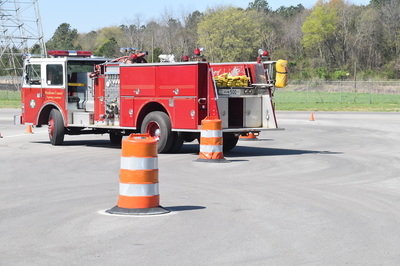 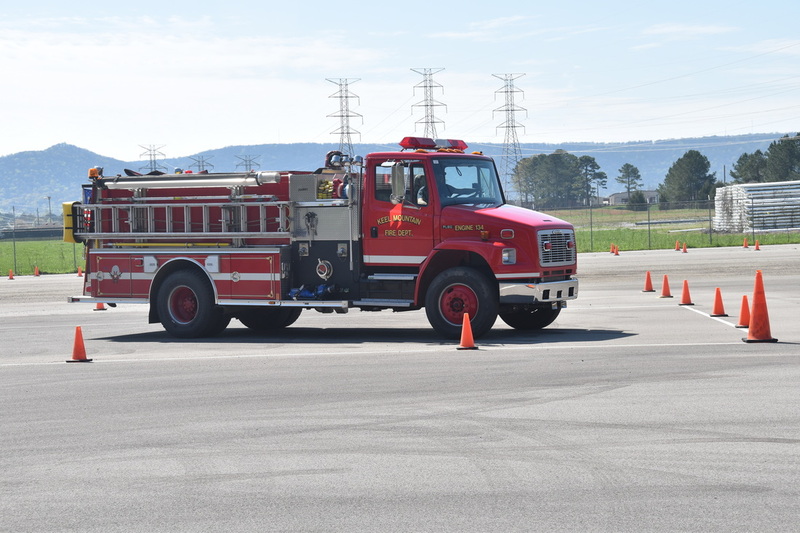 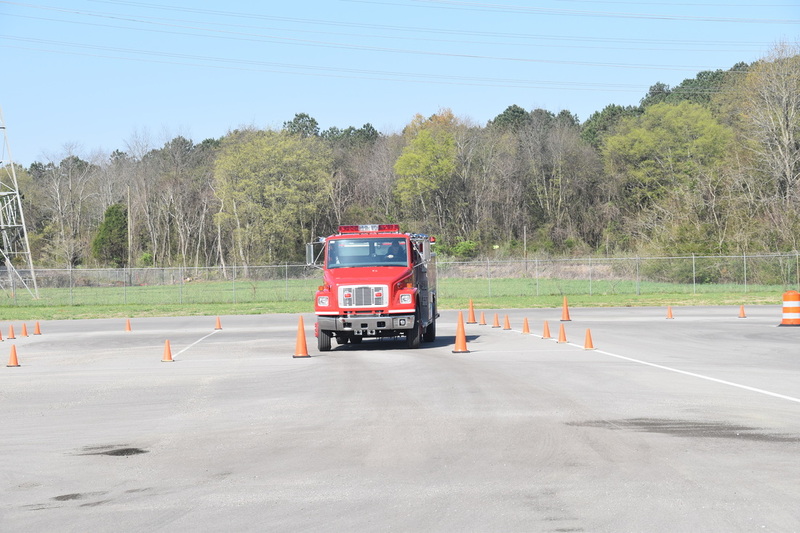 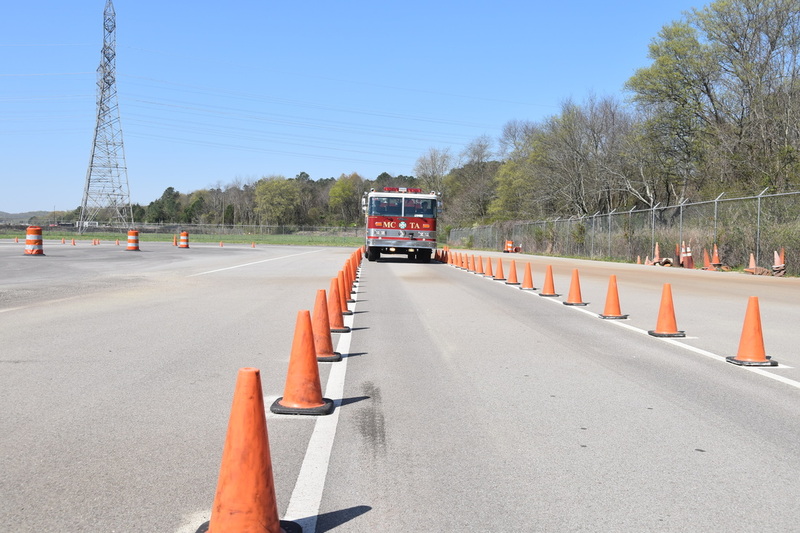 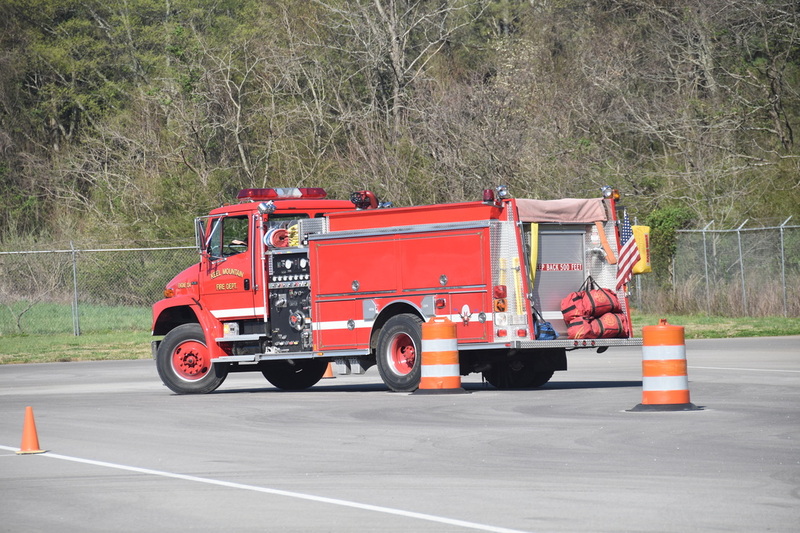 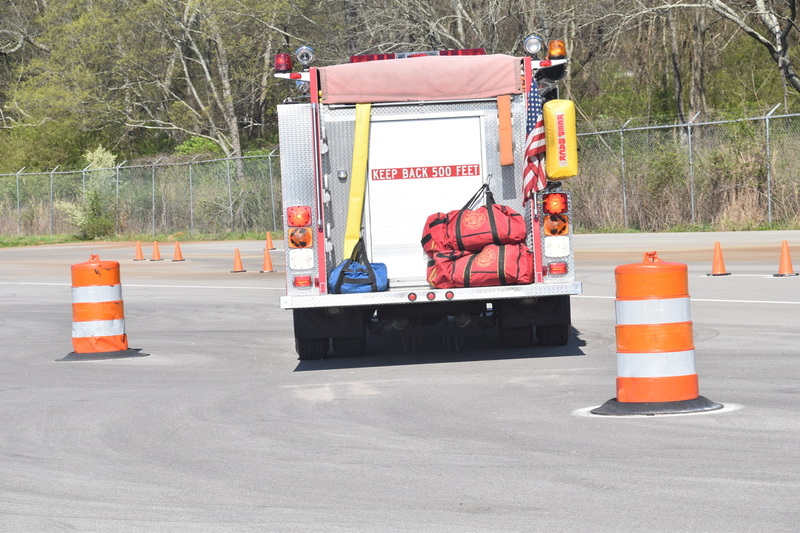 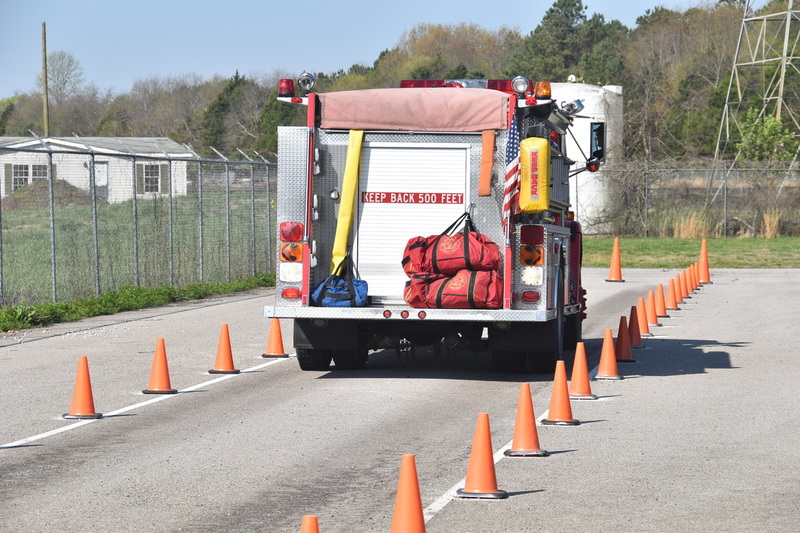 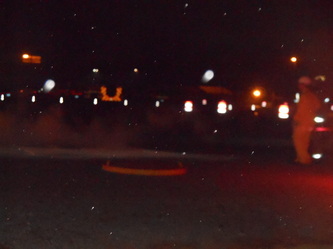 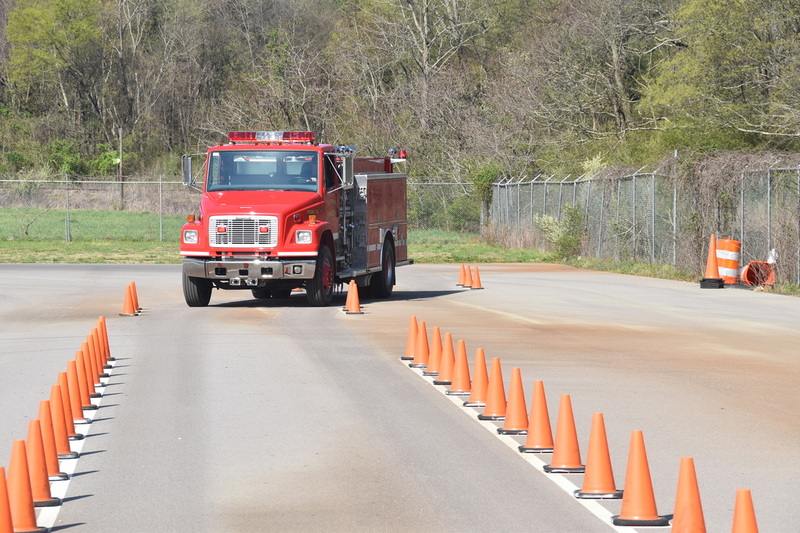 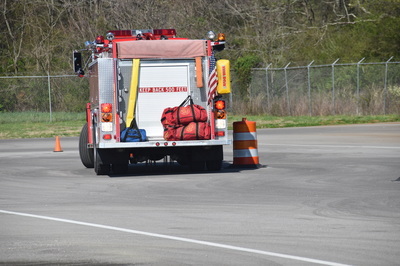 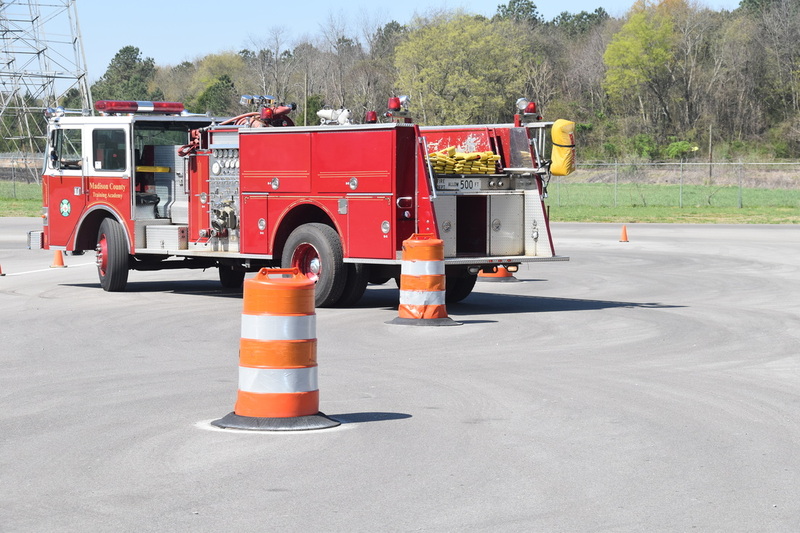 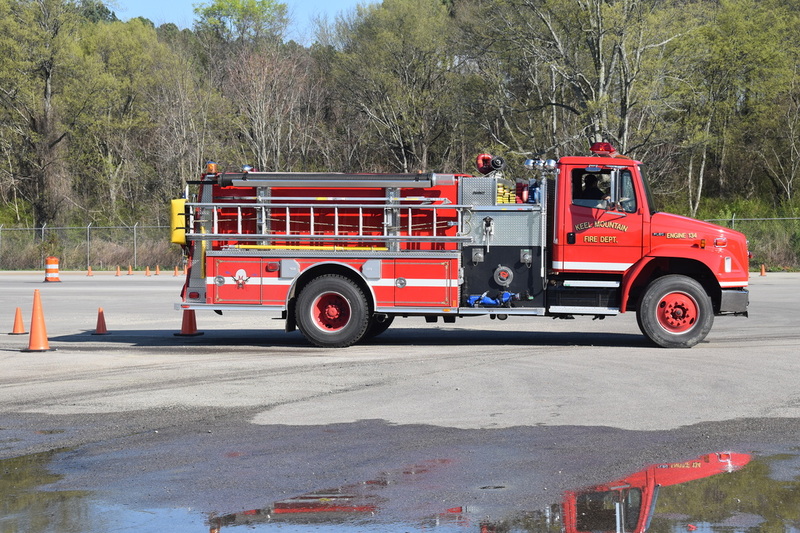 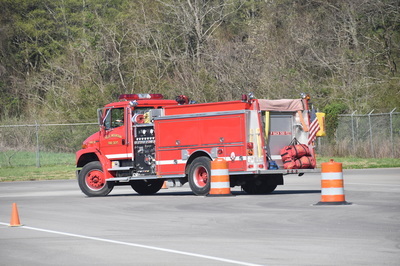 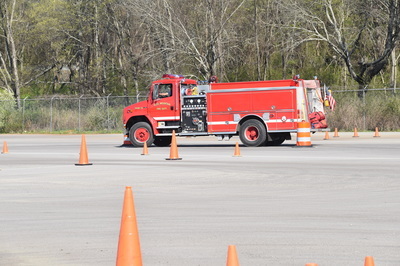 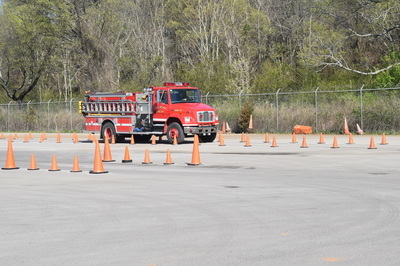 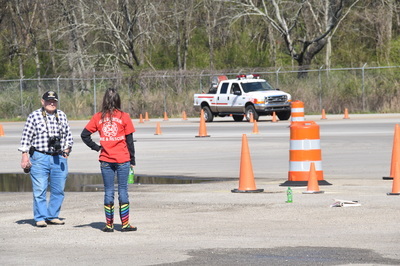 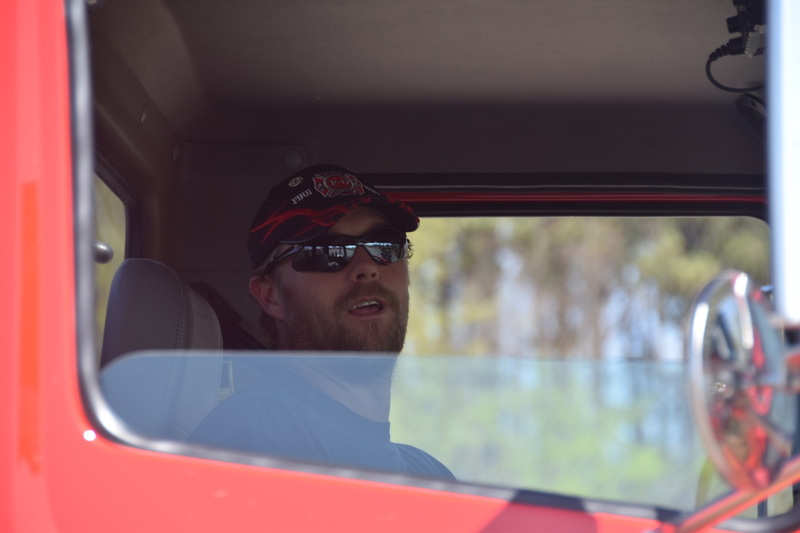 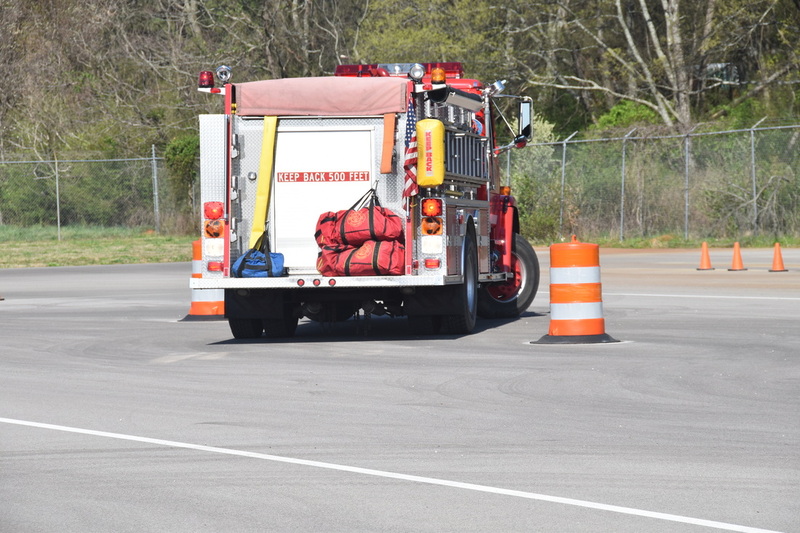 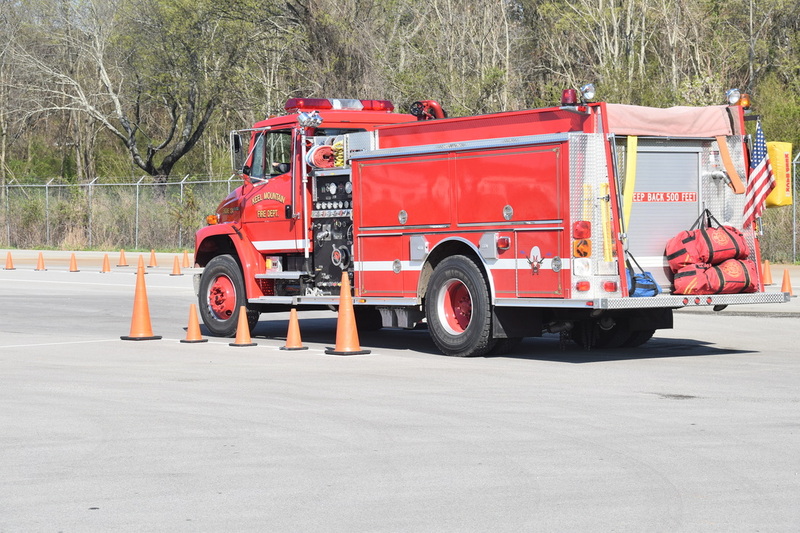 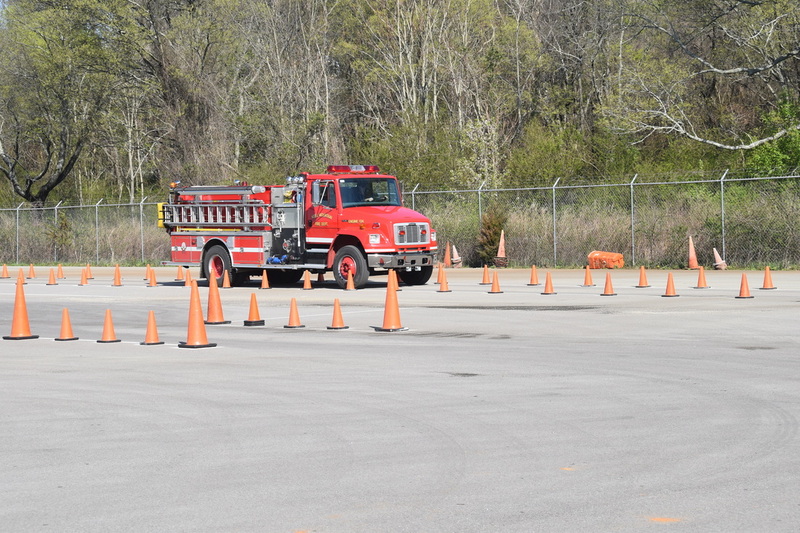 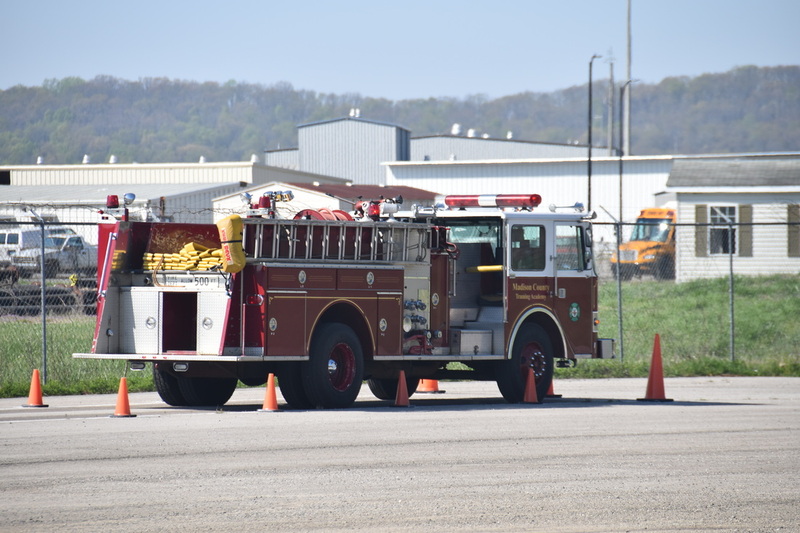 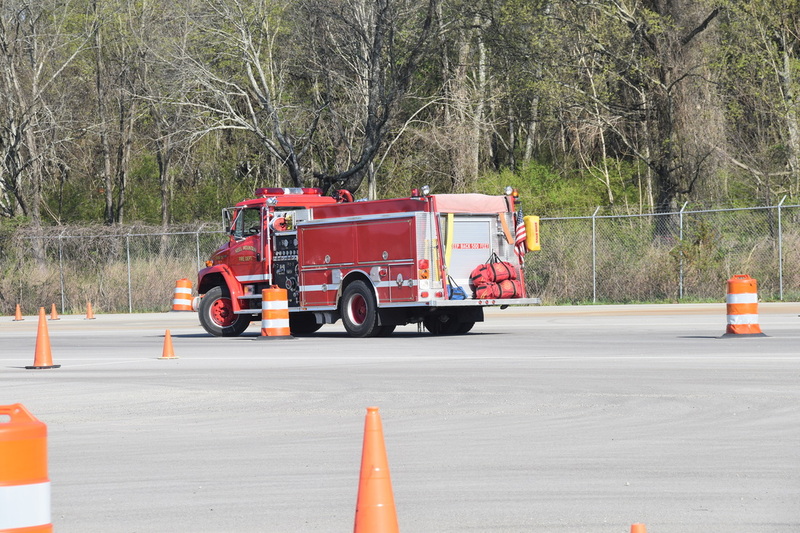 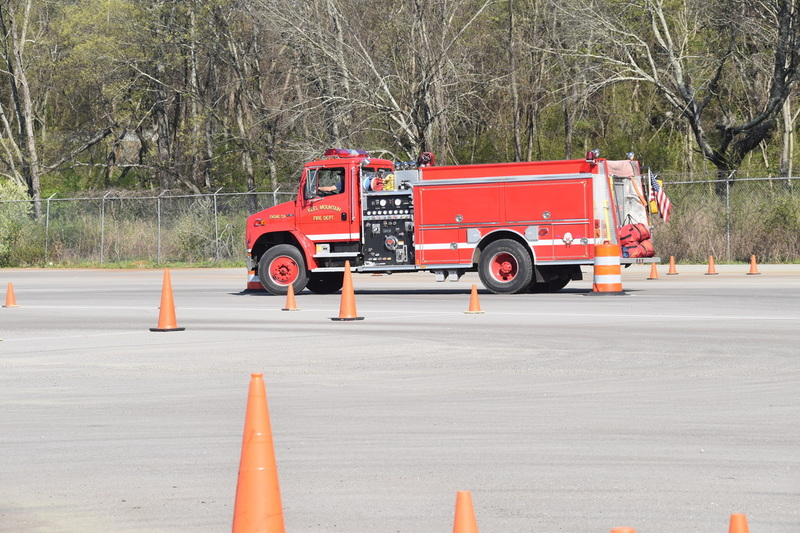 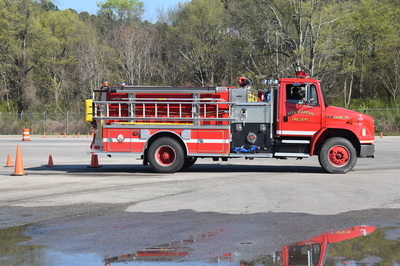 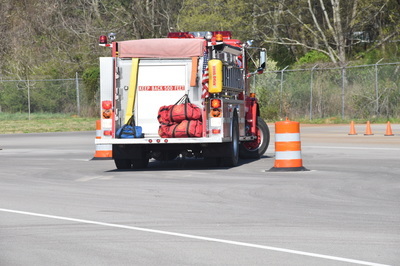 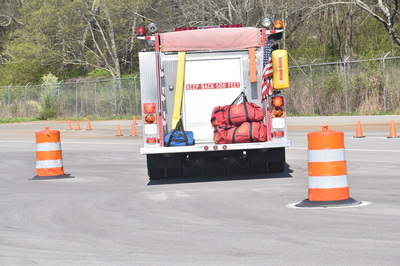 26 Mar 16: KMVFD spent several hours on the driving course at the Madison County Training Academy, both teaching new drivers and some refresher training for currently certified drivers. 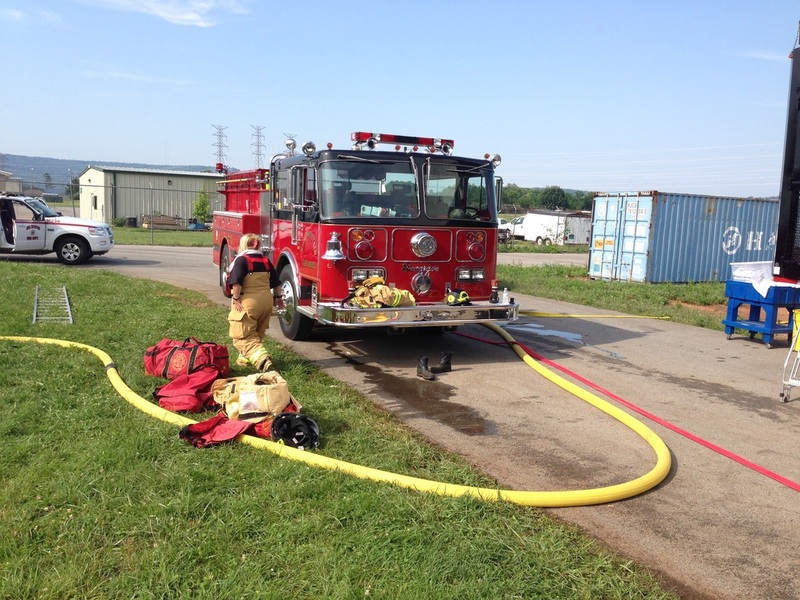 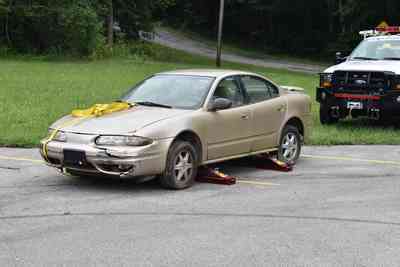 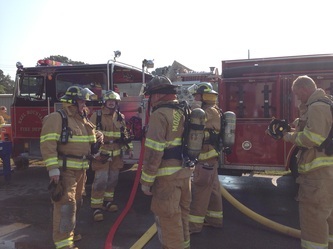 Operation of the various apparatus is a critical skill necessary in service to our community. The training consisted of several driving exercises, both forward and in reverse, helping us to hone our skills and build the operator's confidence. 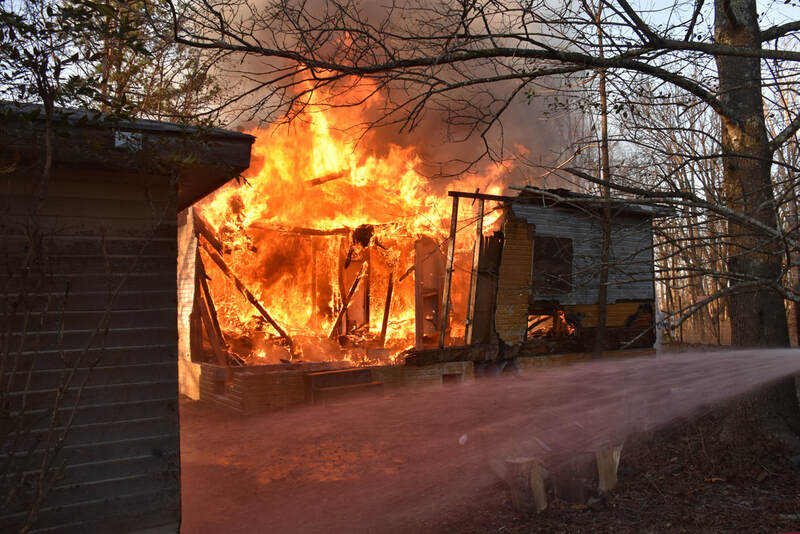 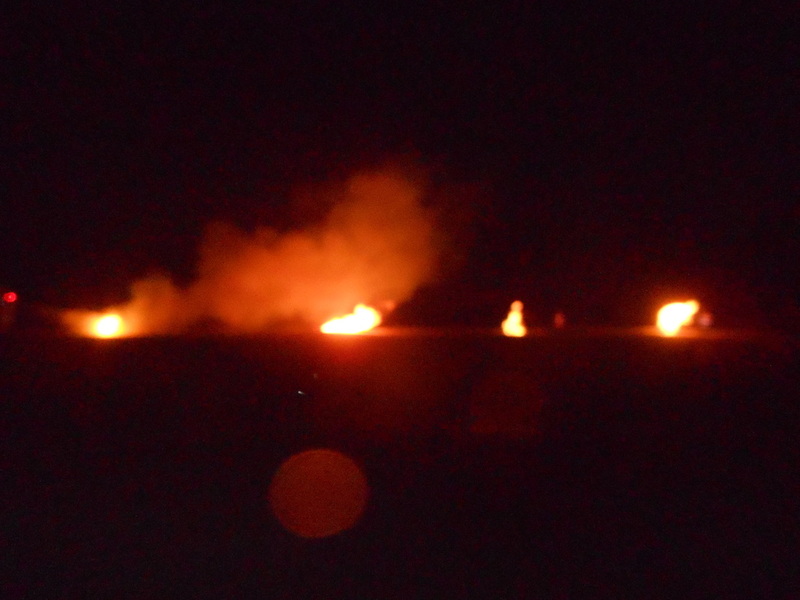 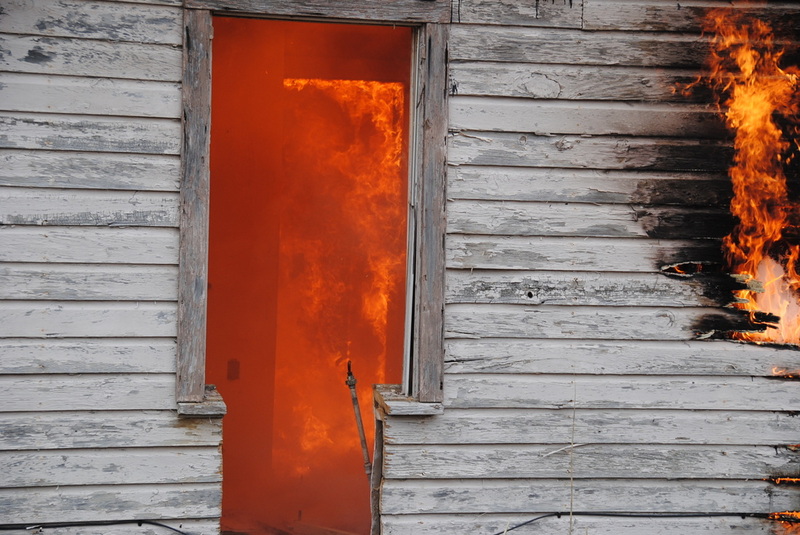 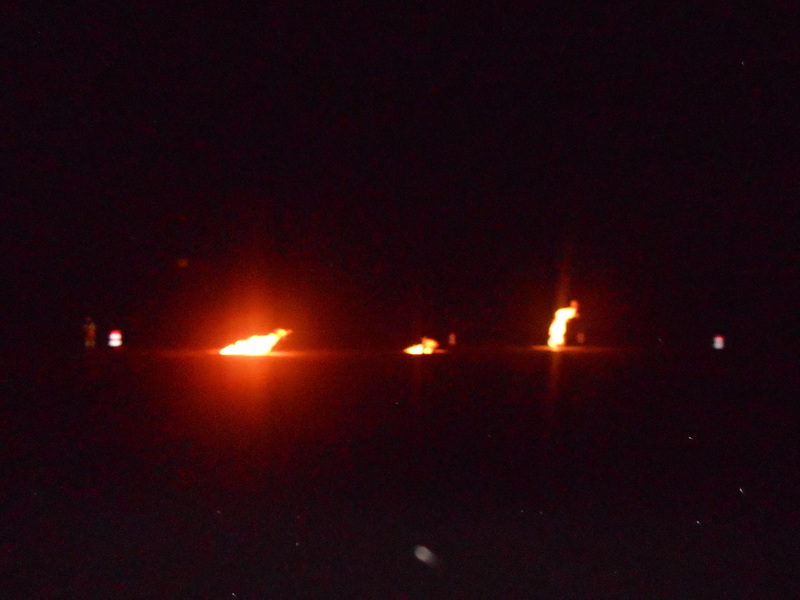 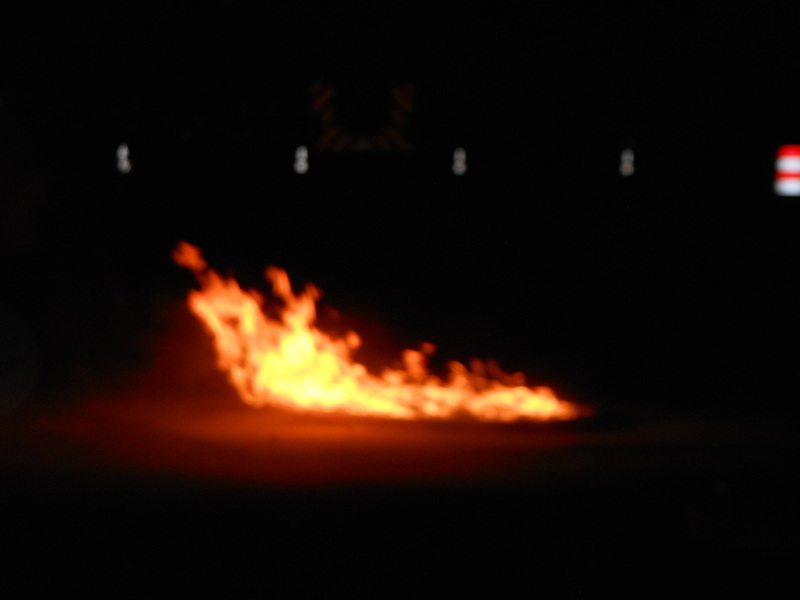 31 Jan 15: KMVFD was provided a structure to train in and ultimately burn. 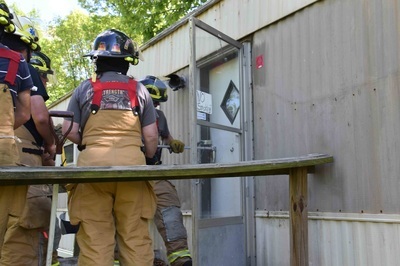 We spent many weeks practicing our search, rescue, escape, and ventilation techniques. 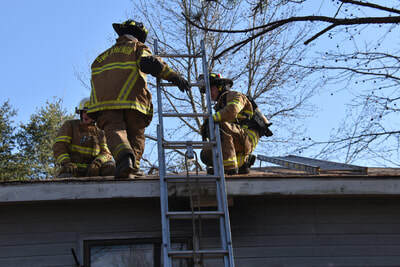 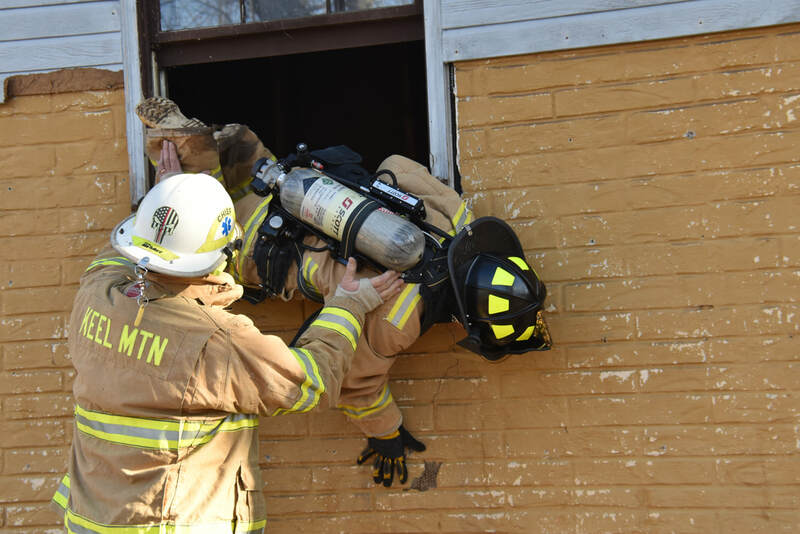 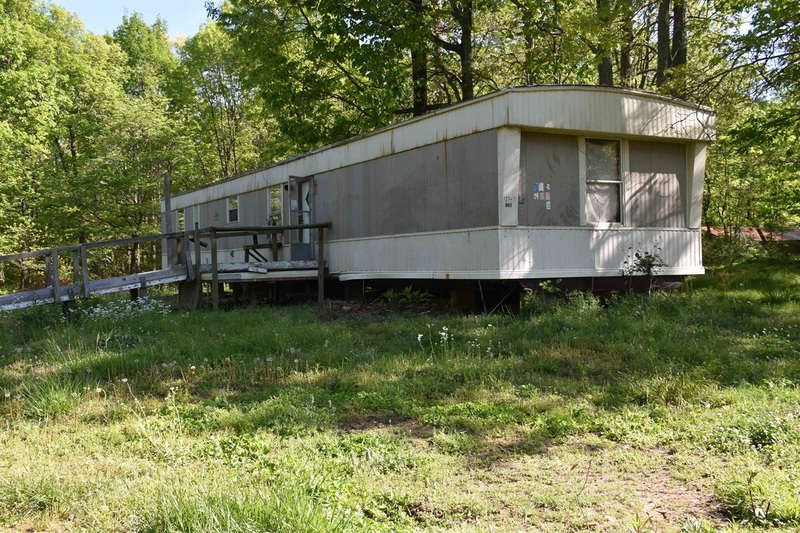 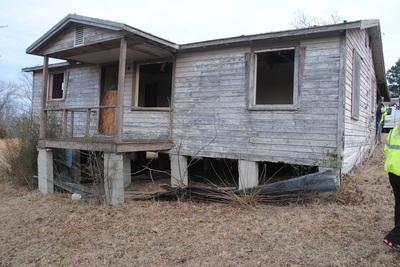 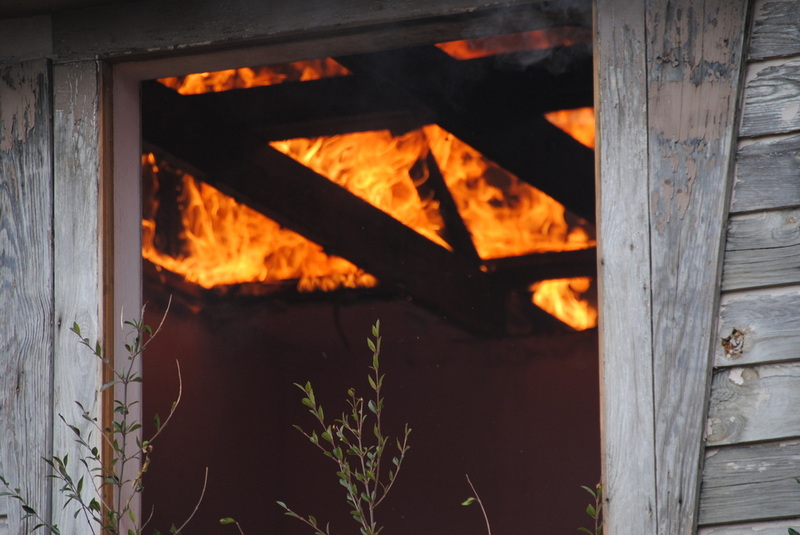 We appreciate the opportunity to systematically "tear up" the interior and exterior of this structure, it is training that we do not get to perform often. 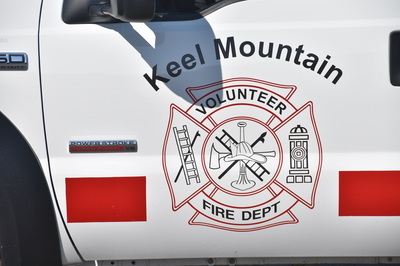 Many of your Keel Mountain firefighters are more confident in these skills because of this training, and we appreciate the op﻿portunity. 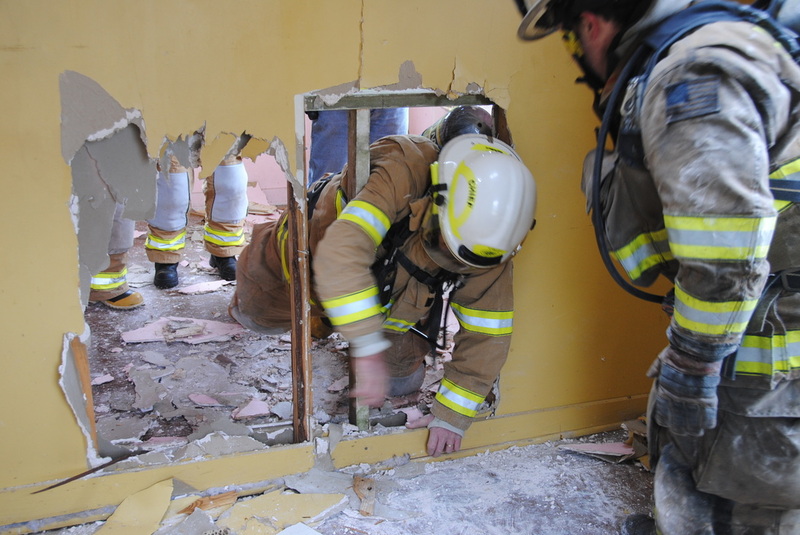 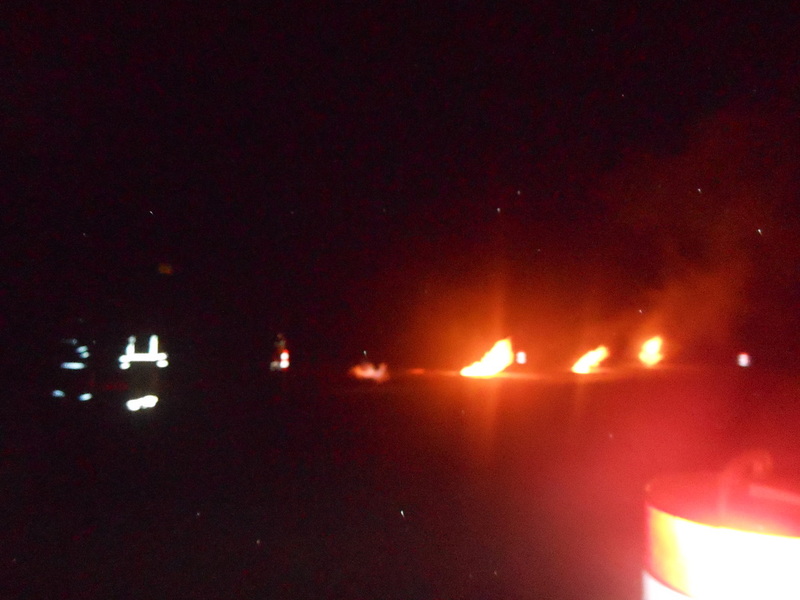 The final day, 31 Jan, the structure was set on fire and allowed to burn to the ground, allowing some of our new firefighters a chance to witness the stages and progression of fire, concepts we have taught in the classroom but not totally appreciated until witnessed first hand. 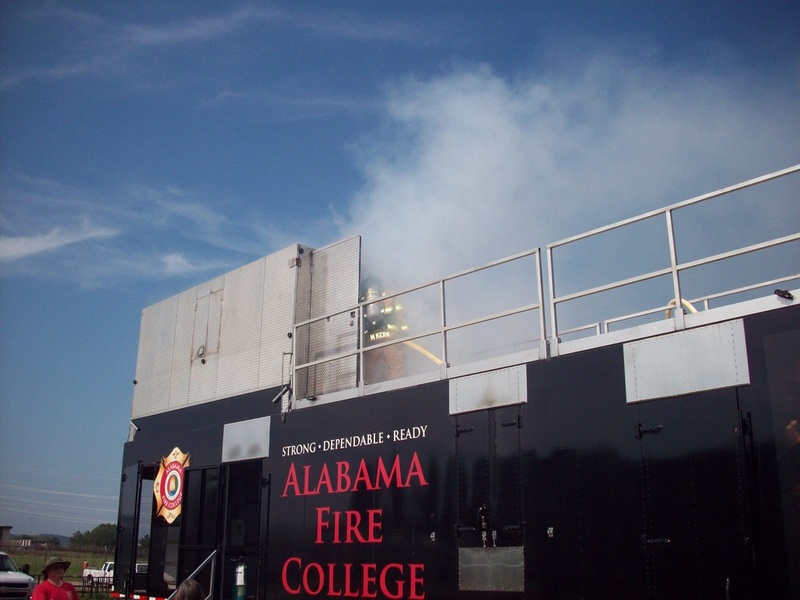 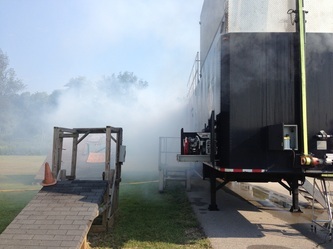 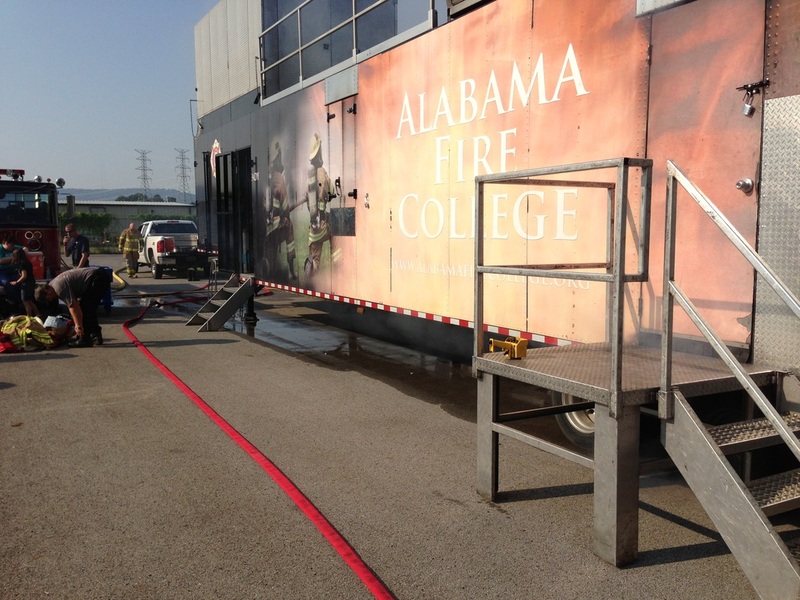 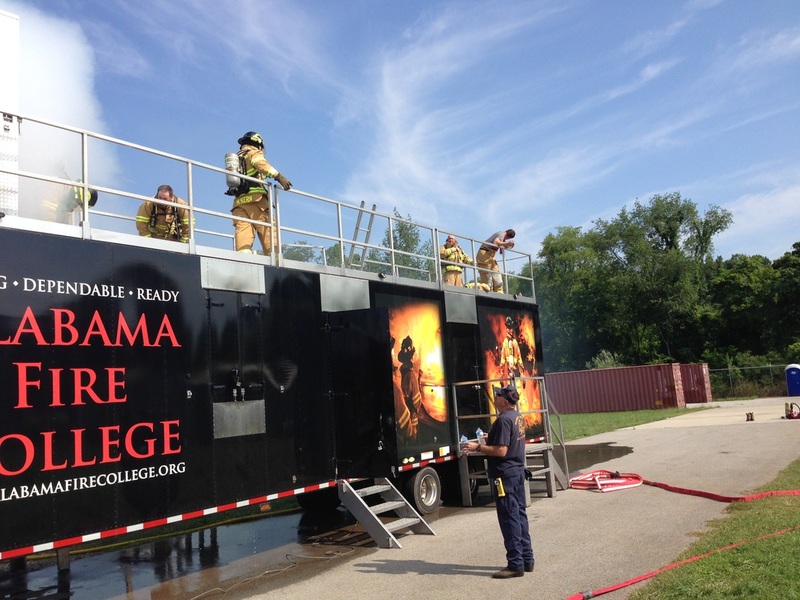 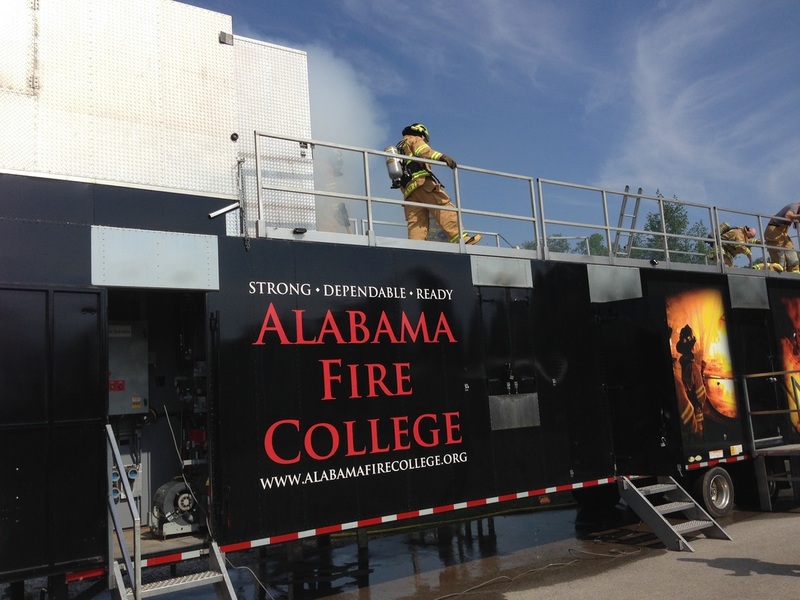 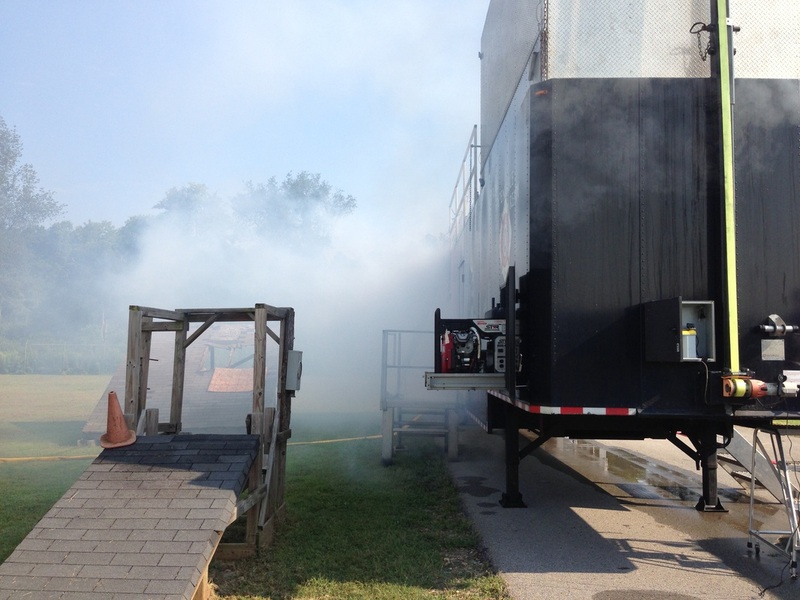 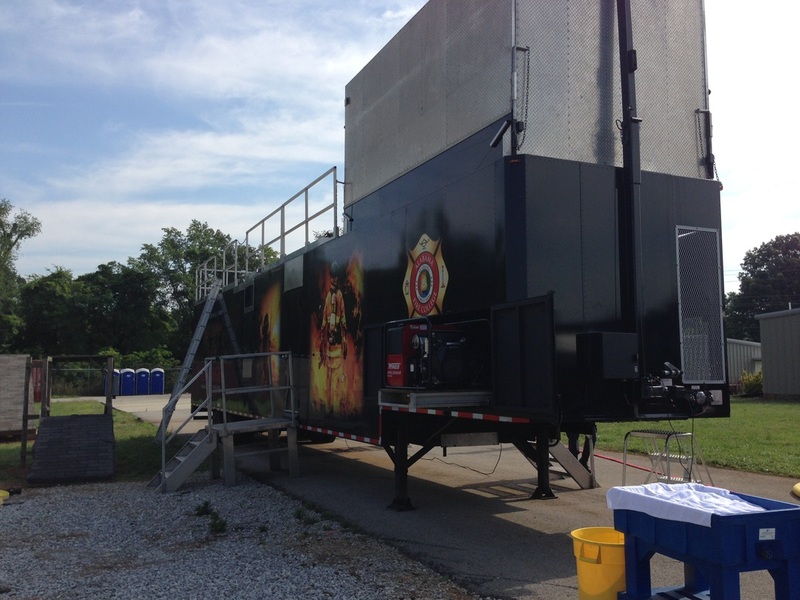 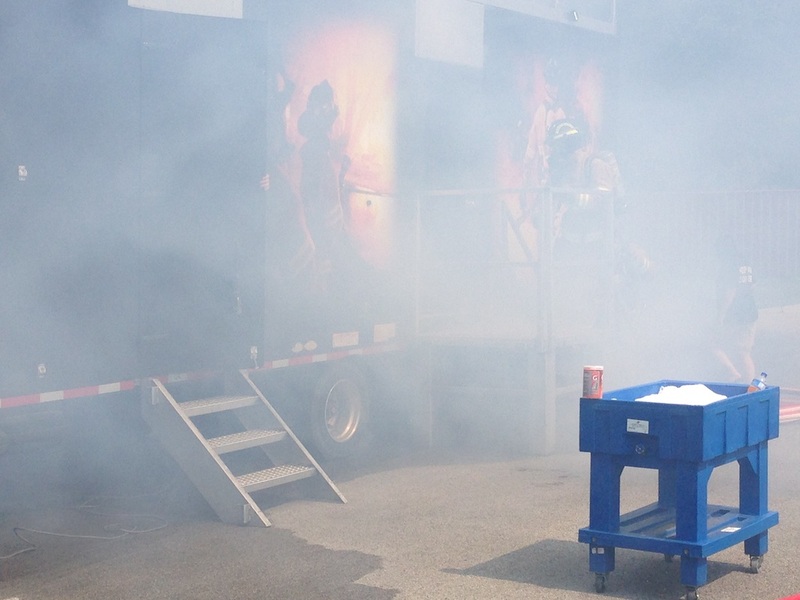 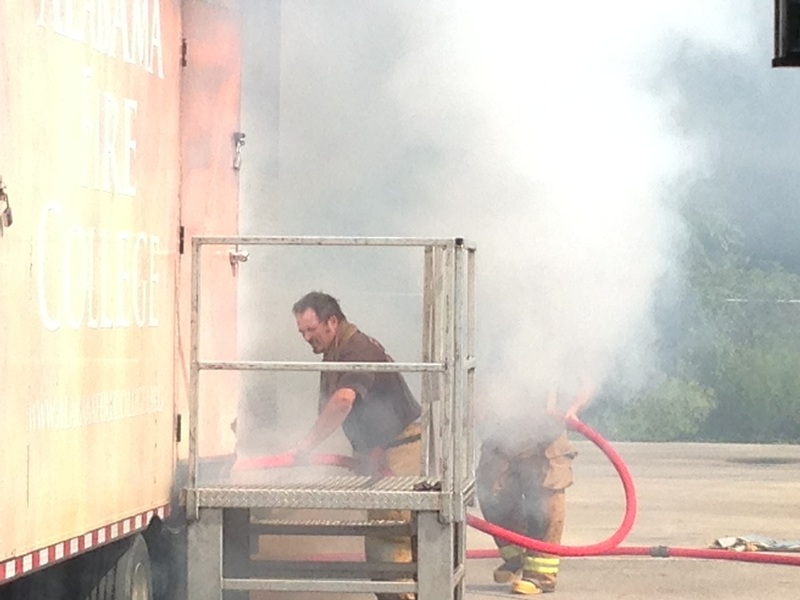 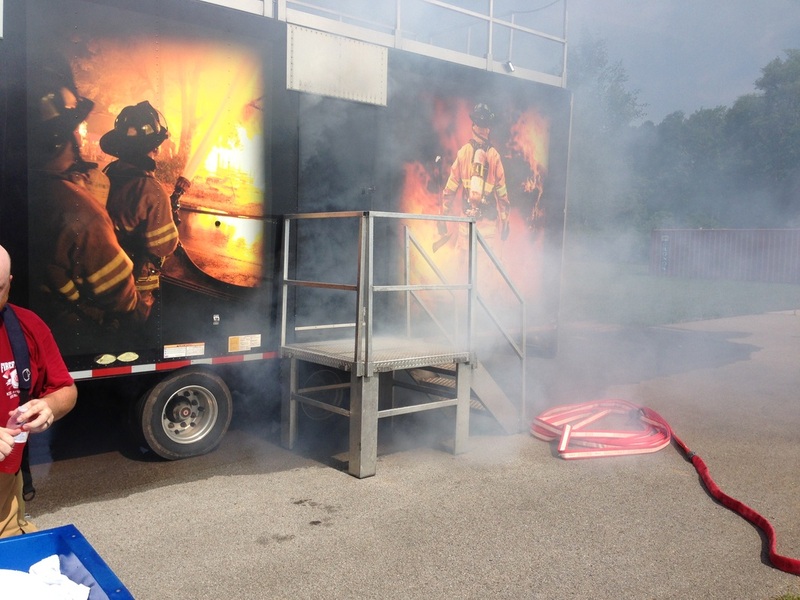 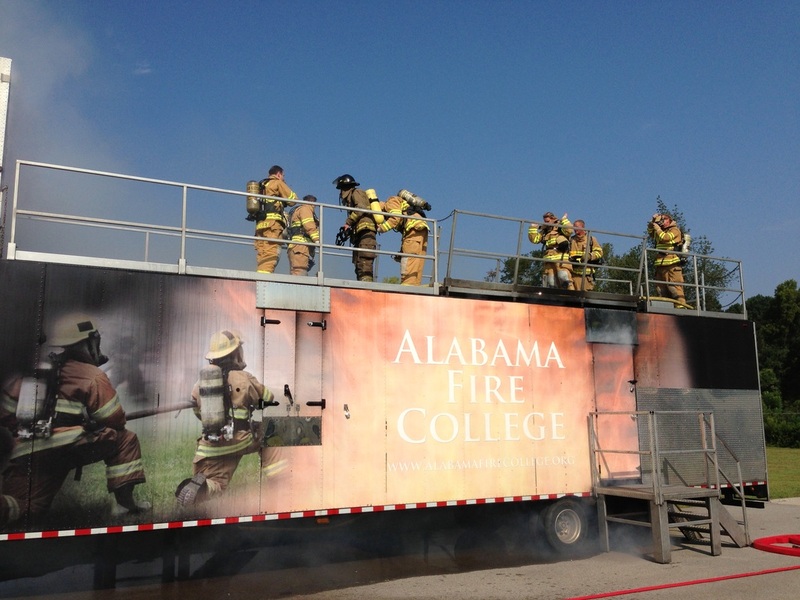 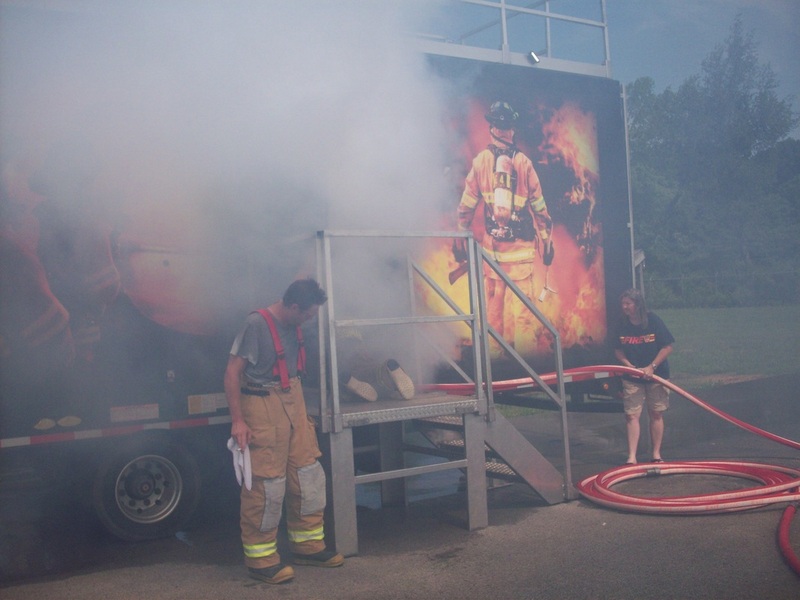 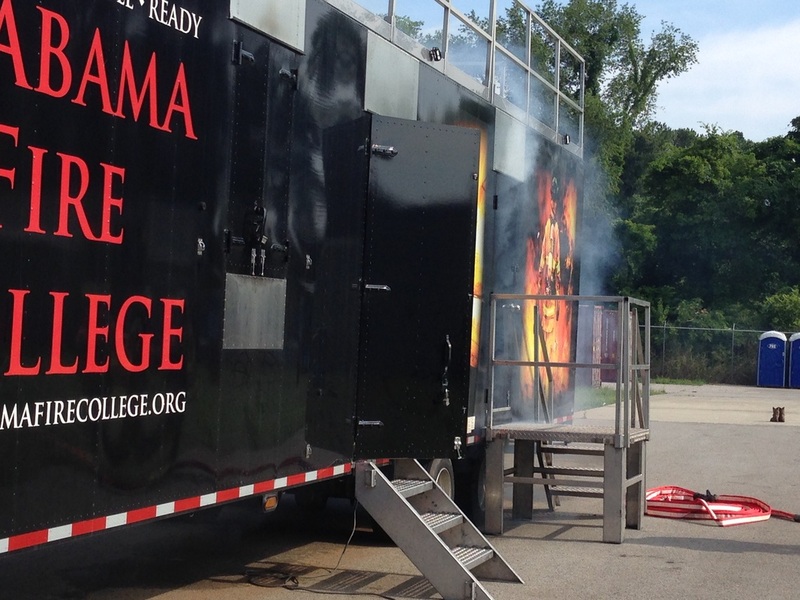 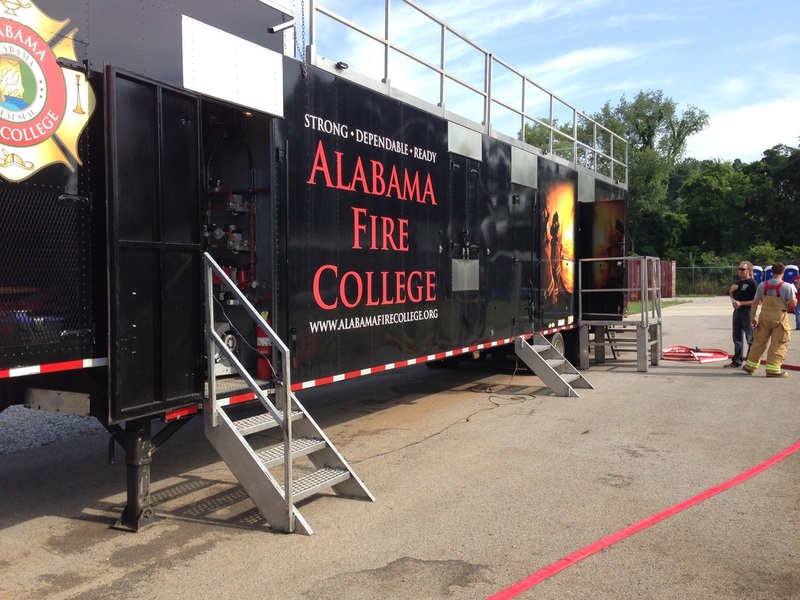 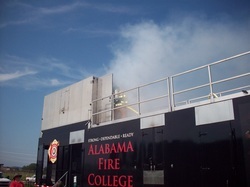 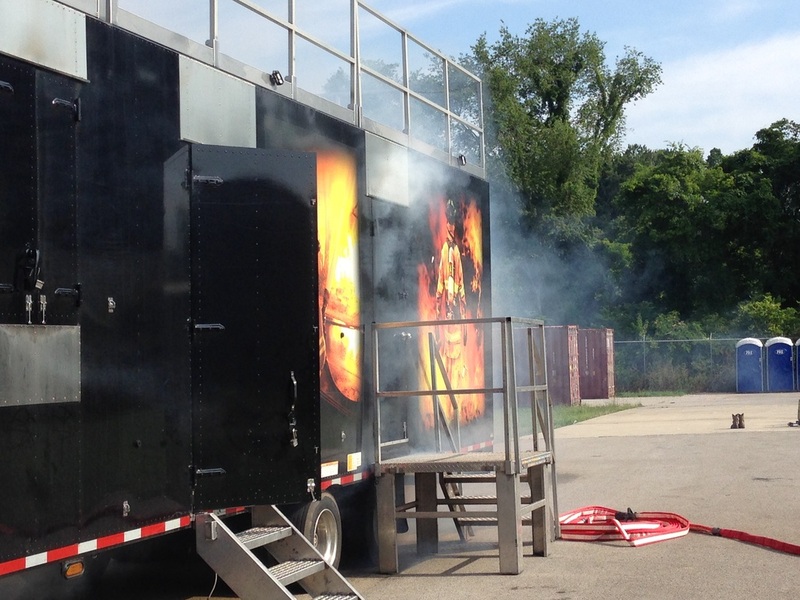 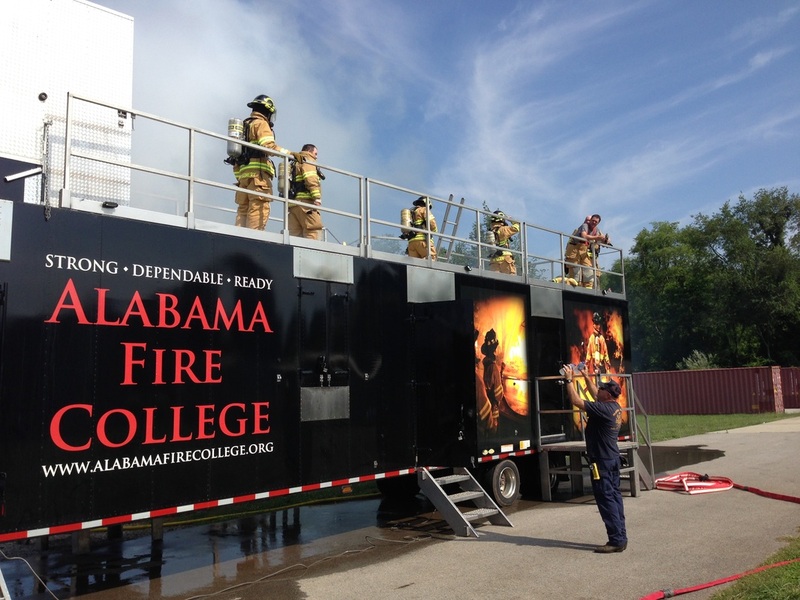 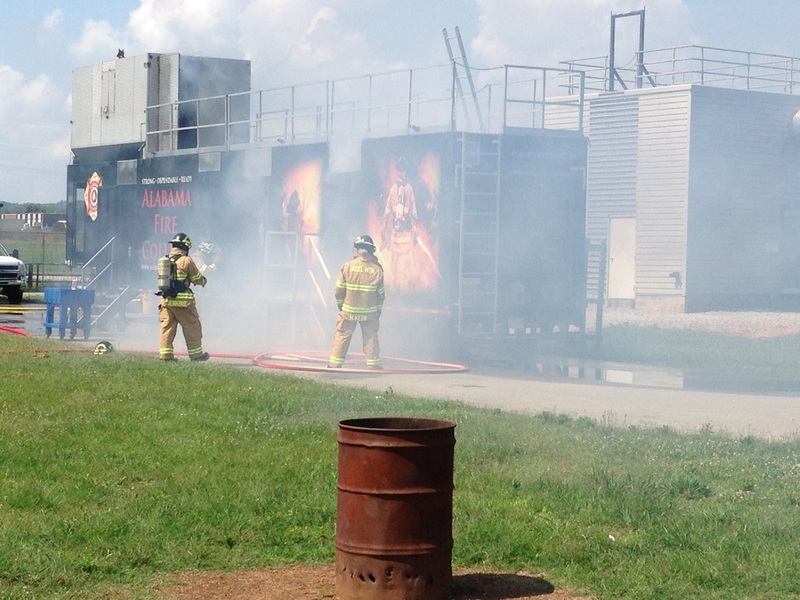 15 Jun 14: Once again we had an opportunity to train in the Alabama Fire College Mobile Fire Simulator. For several of our new firefighters is was their first experience in the smoke, heat, and confusion of fighting a fire. 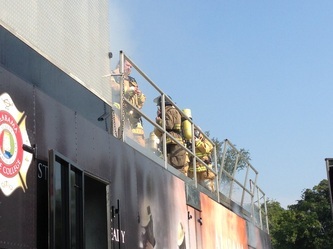 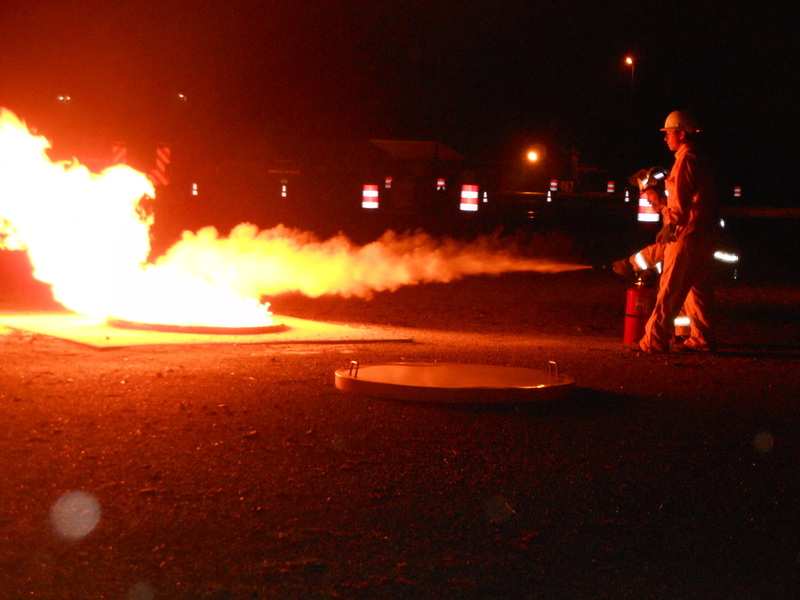 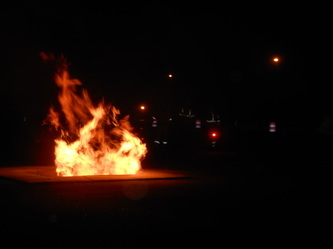 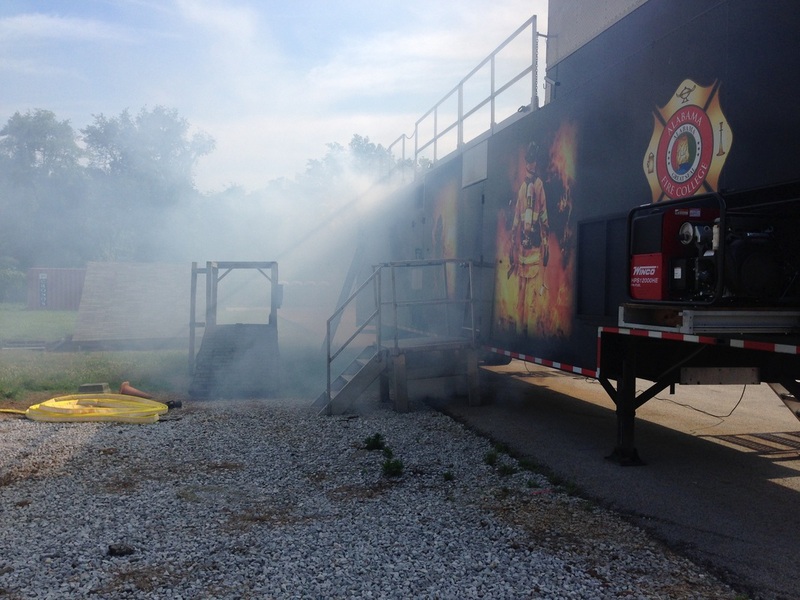 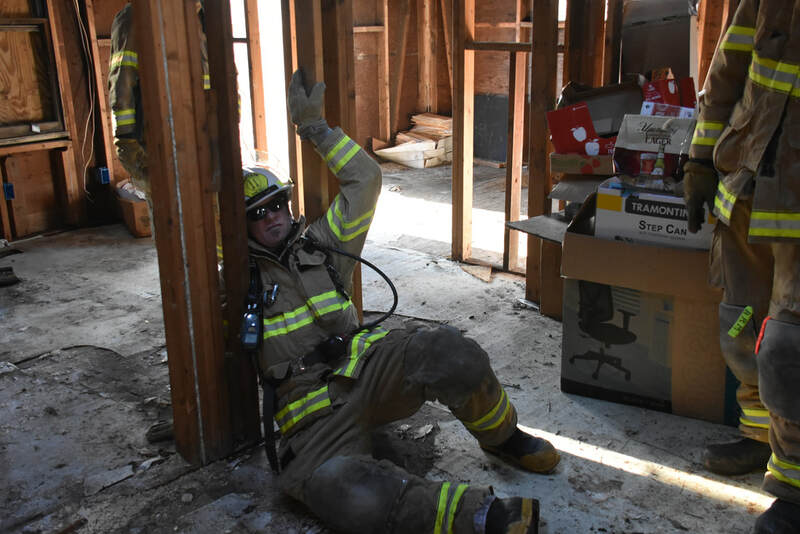 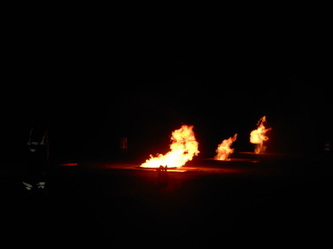 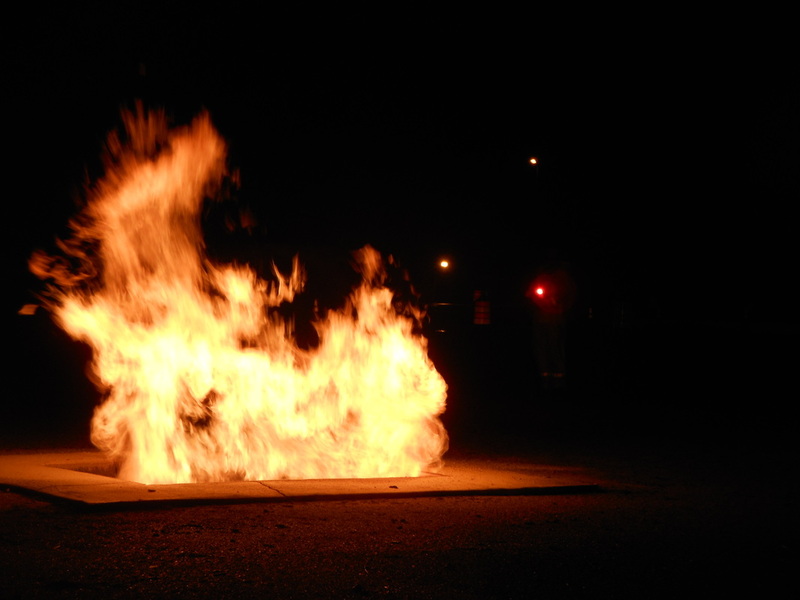 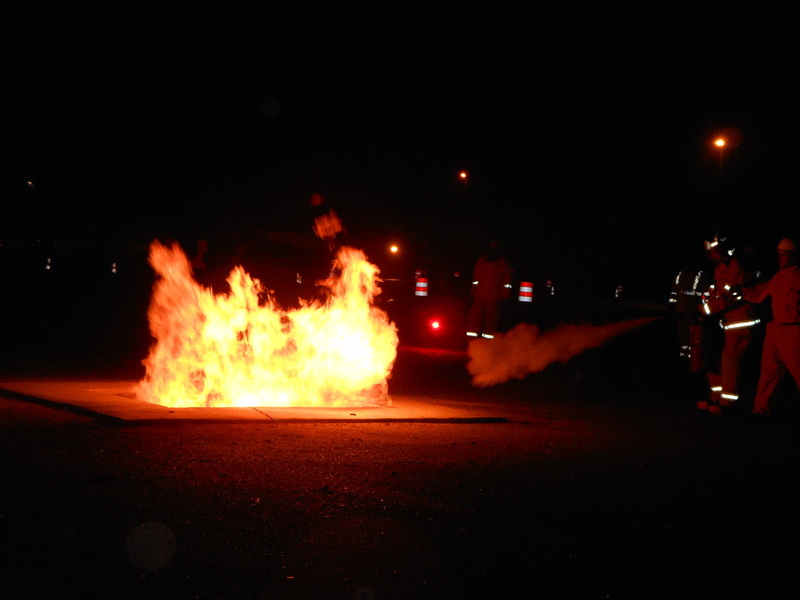 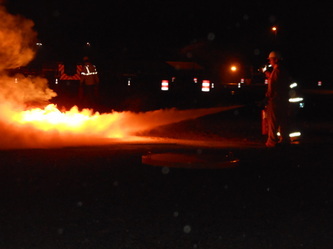 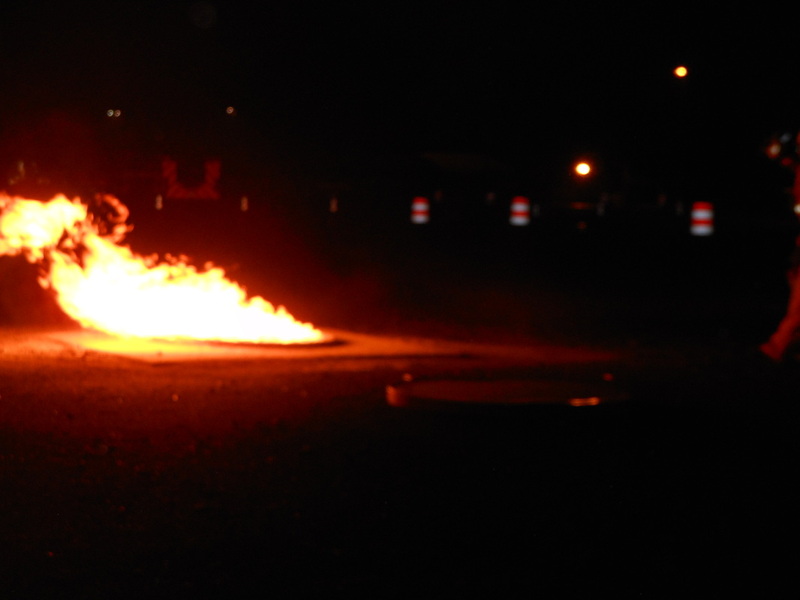 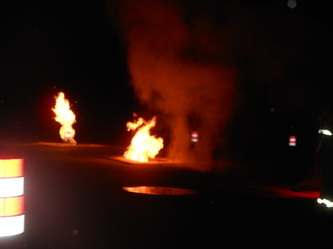 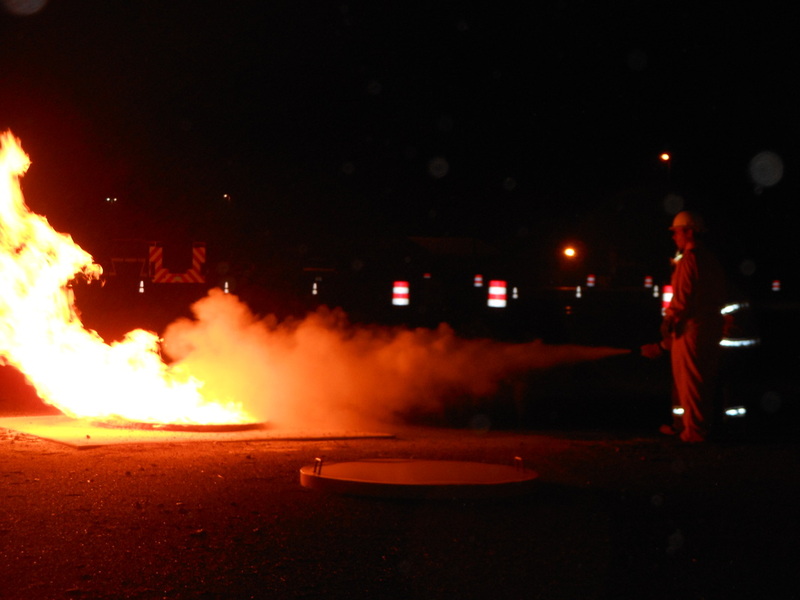 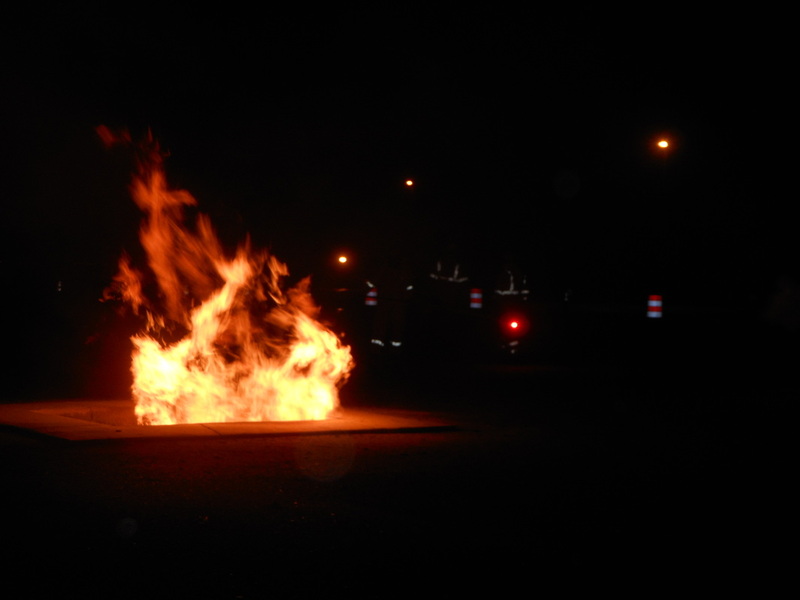 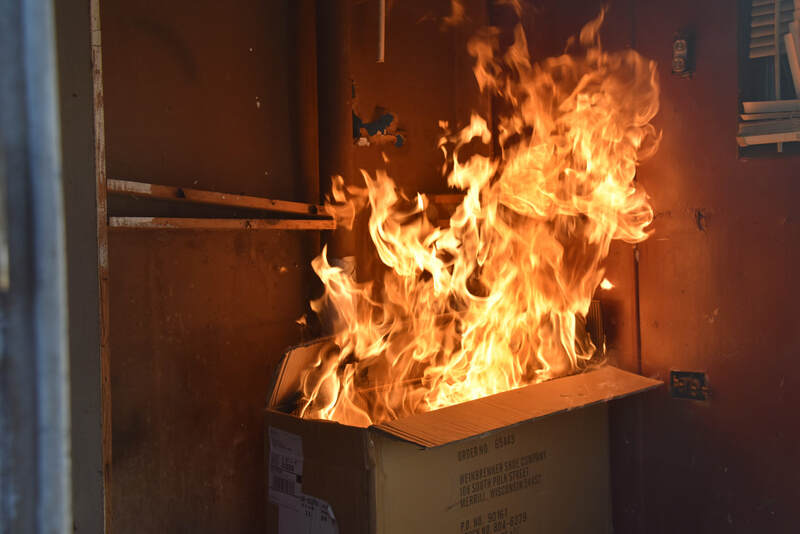 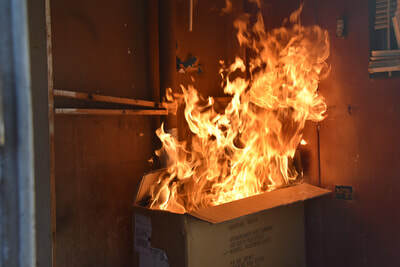 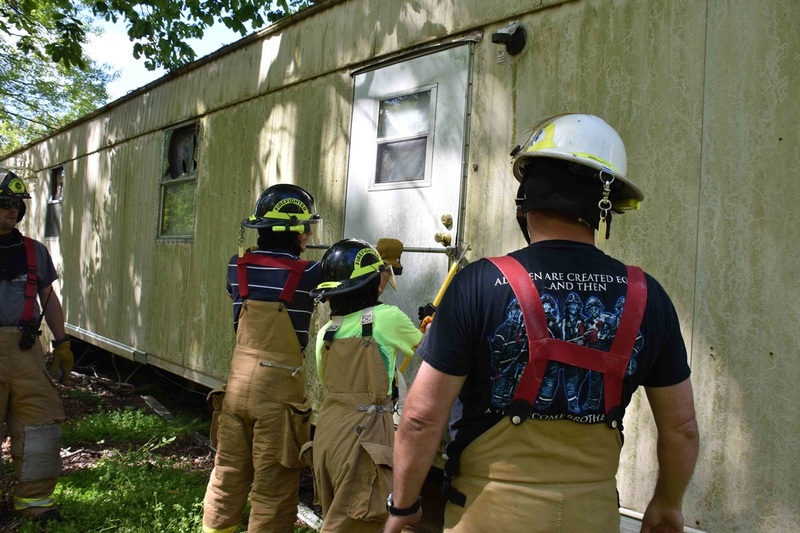 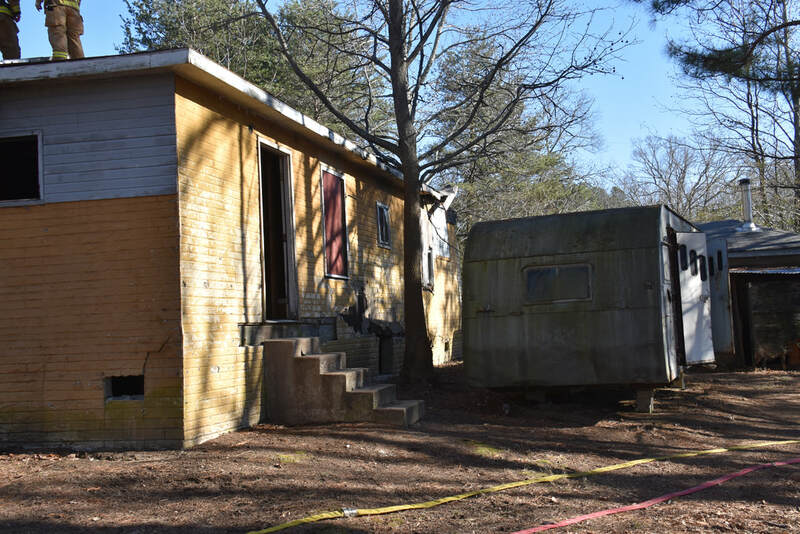 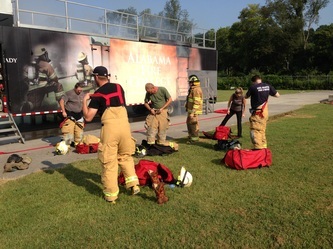 The simulator allows firefighters to practice fire attack and control using different scenarios including structure, kitchen, and basement fires. 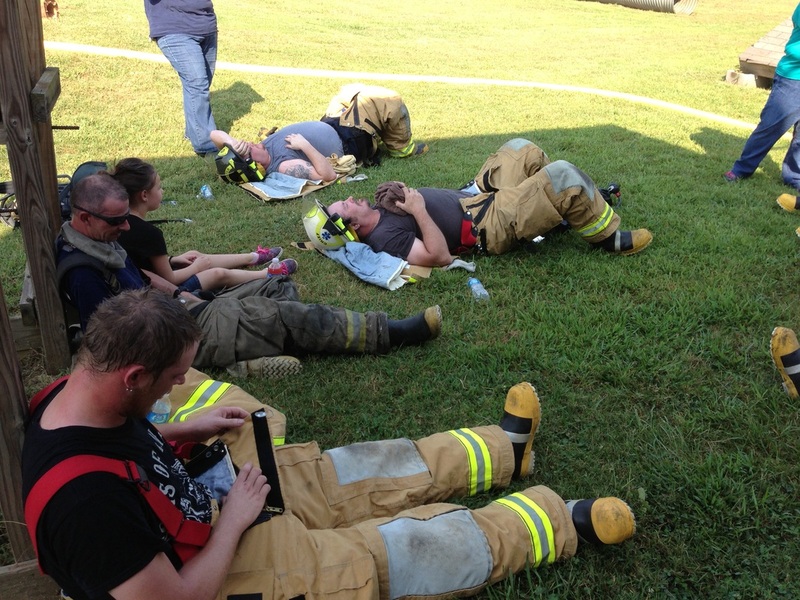 It was a hot morning, and proper rest and hydration between training cycles was extremely important. 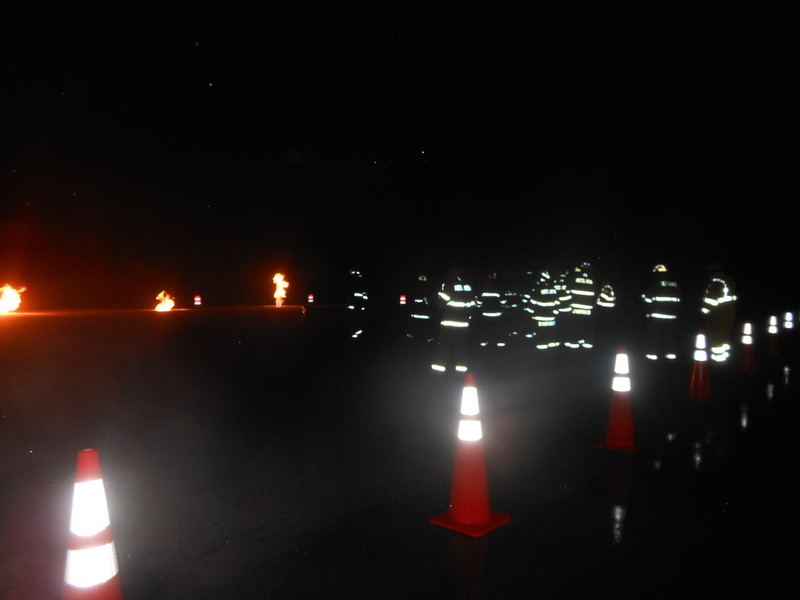 The training was successful and safe. Many thanks to Aaron Pearson who came out on a beautiful Father's Day morning to run the simulator. 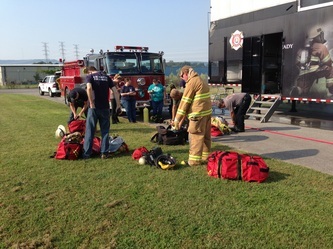 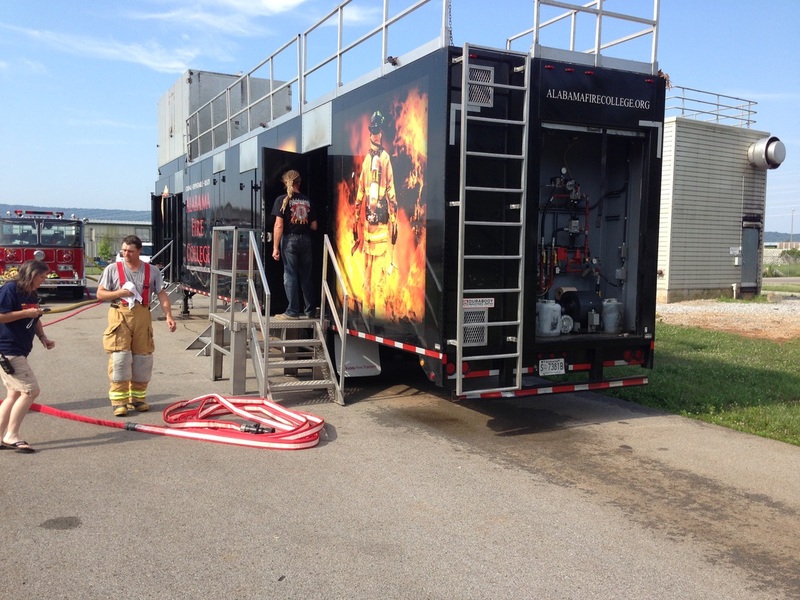 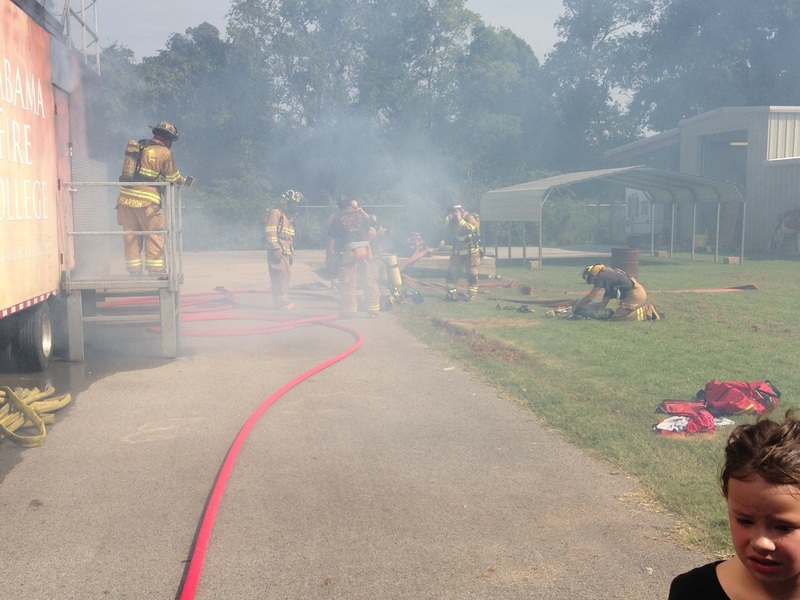 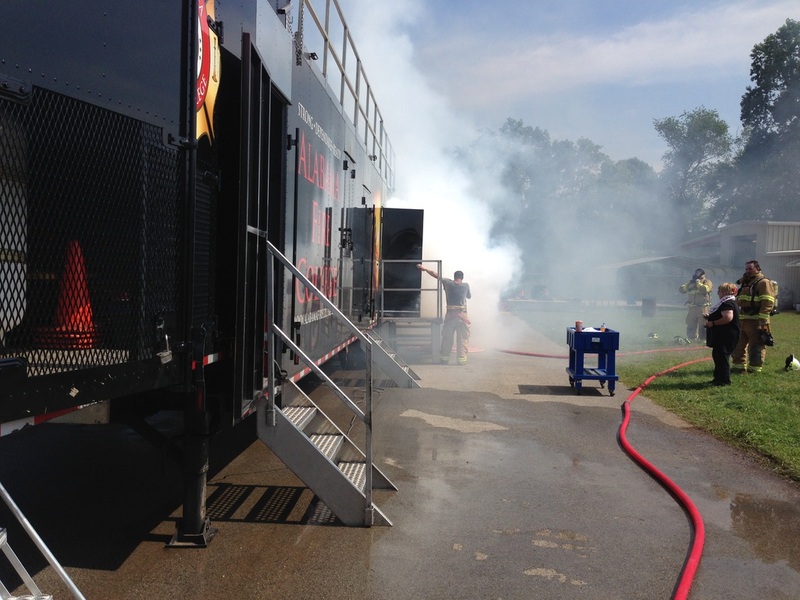 8 Sep 13, Joint Training with Paint Rock VFD using the Alabama Fire College mobile training simulator. 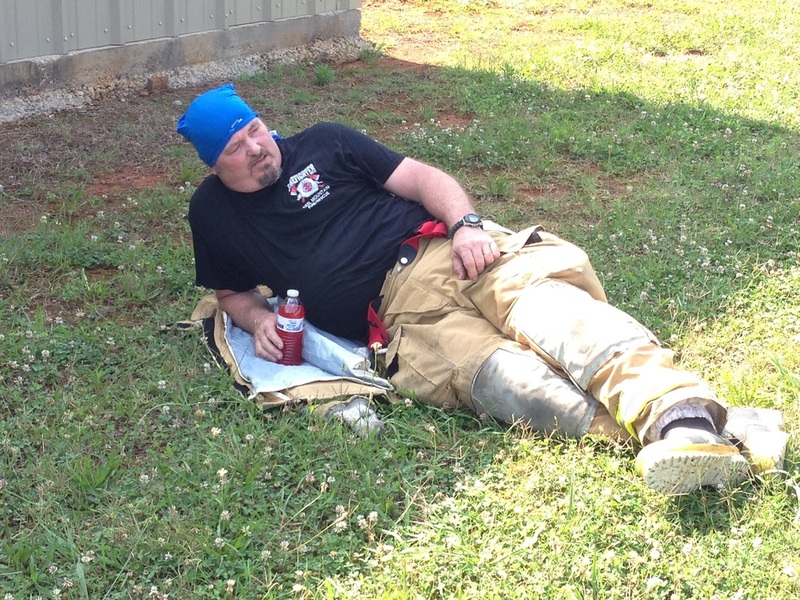 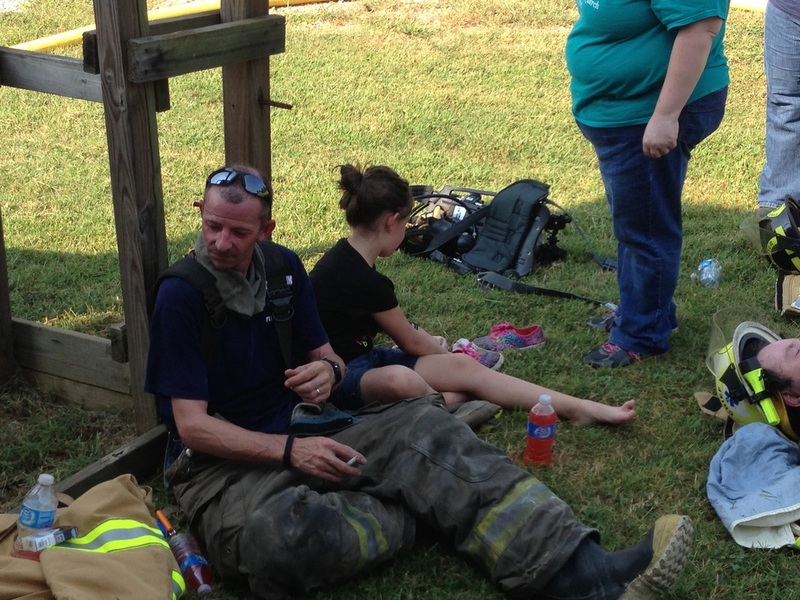 It was a hot day but with sufficient rest all training goals were accomplished safely.